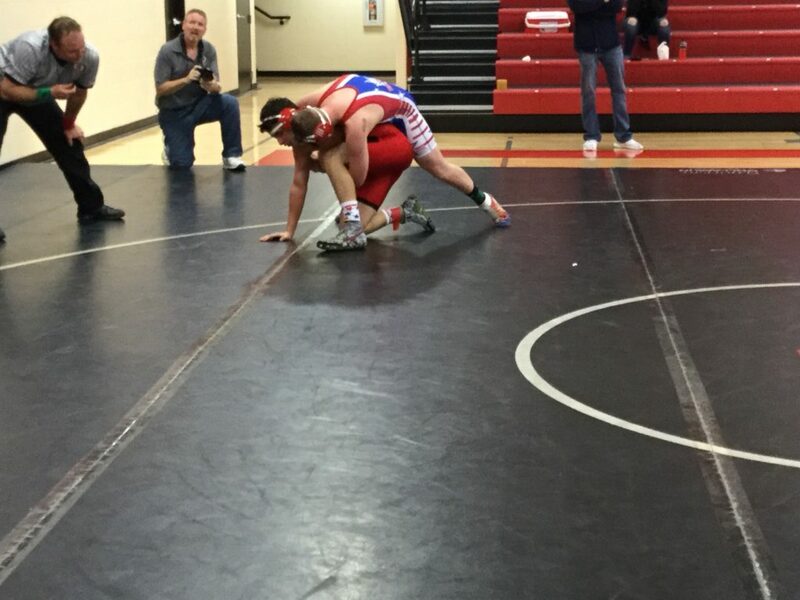 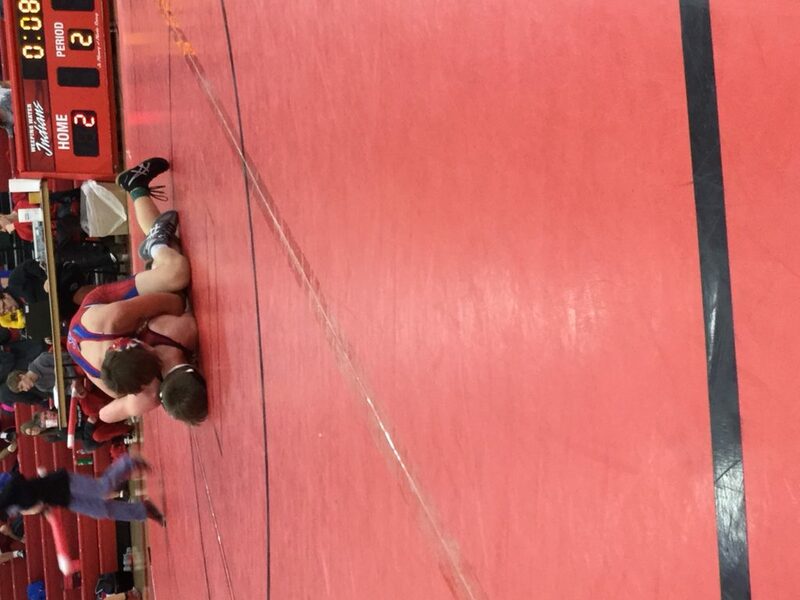 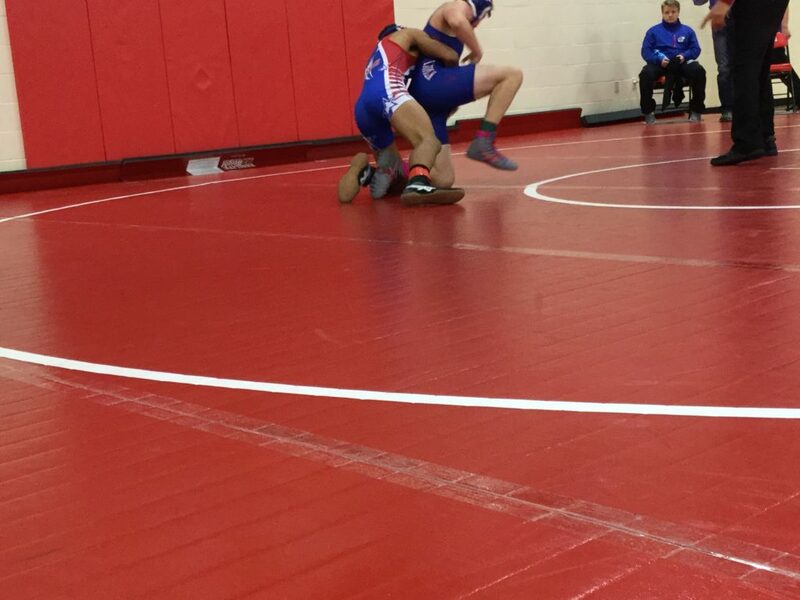 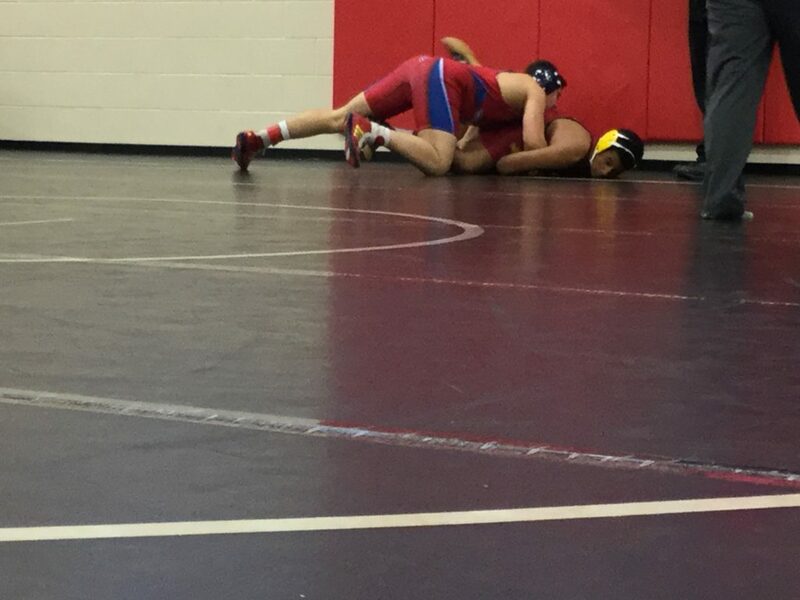 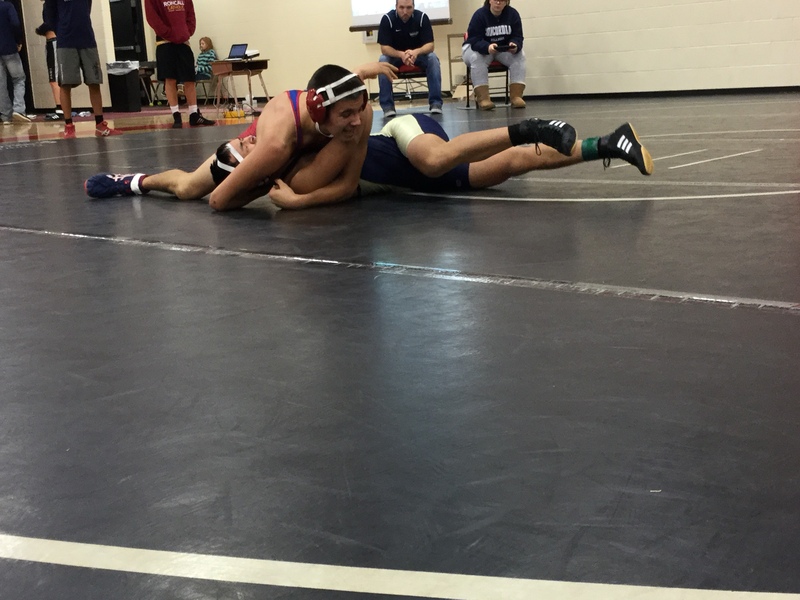 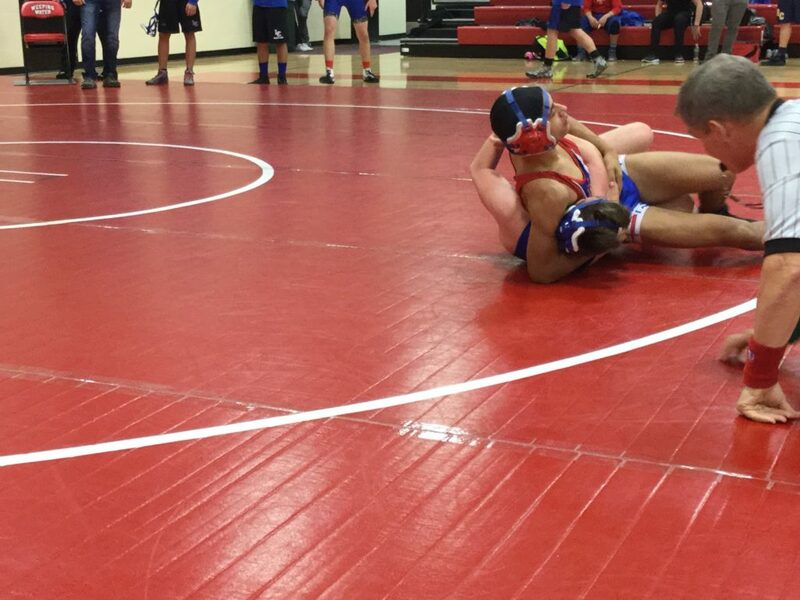 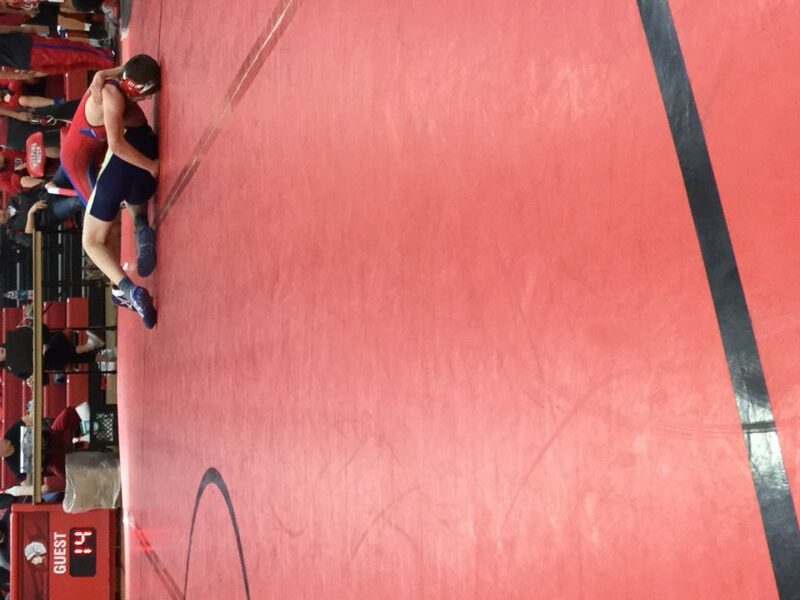 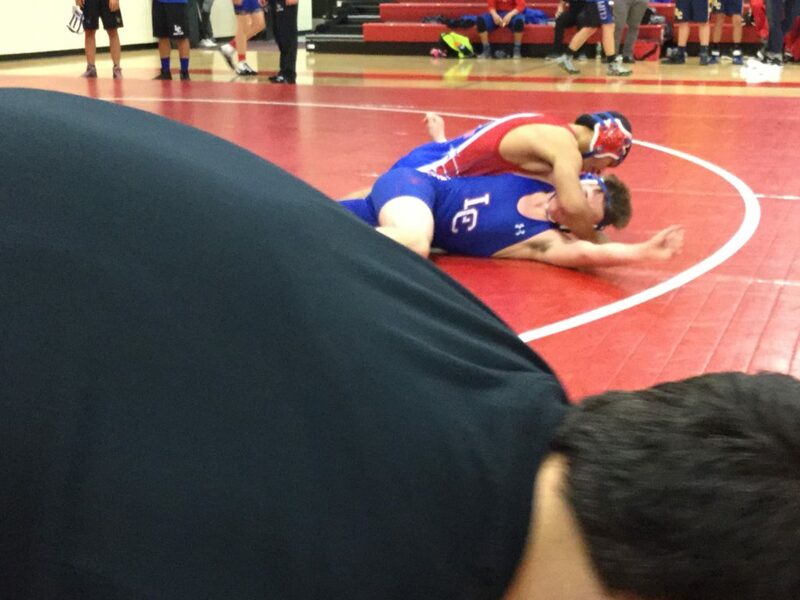 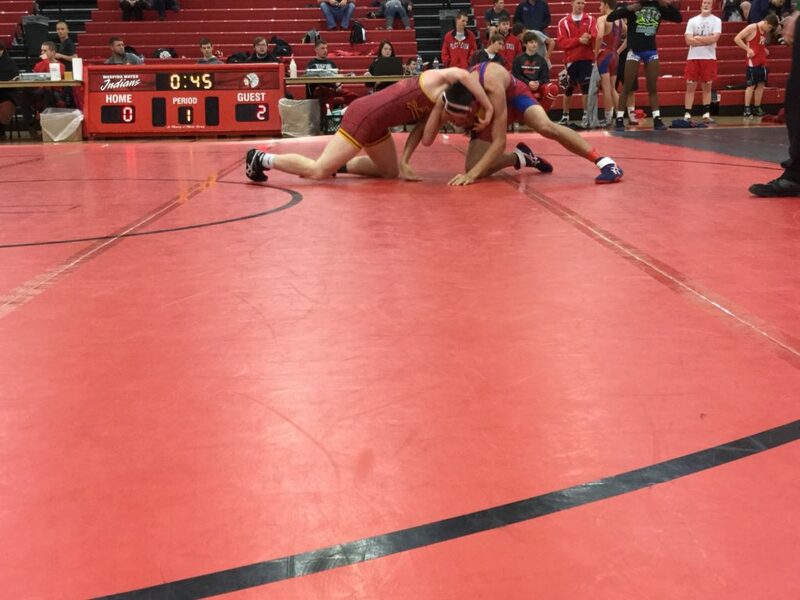 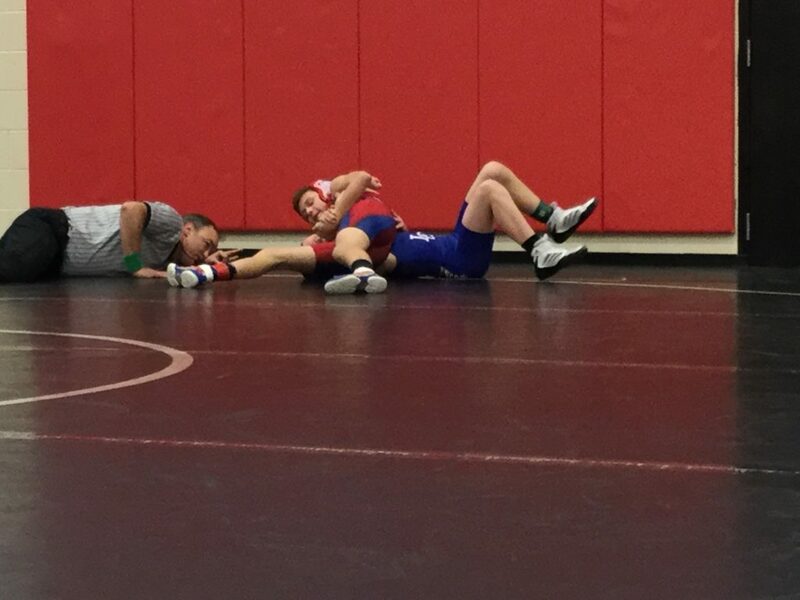 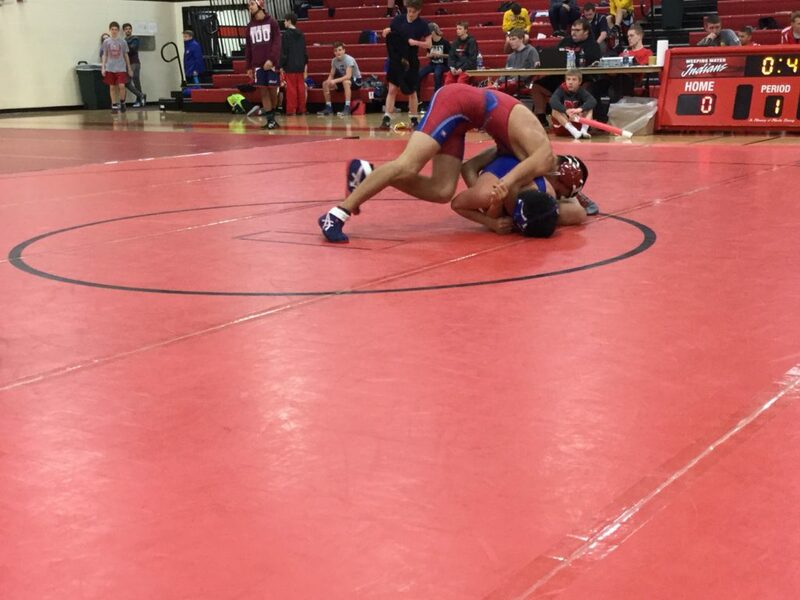 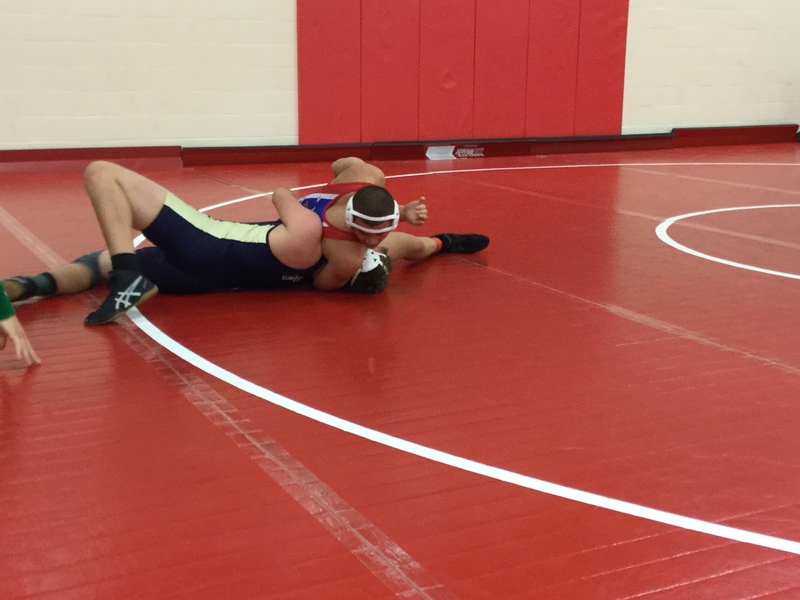 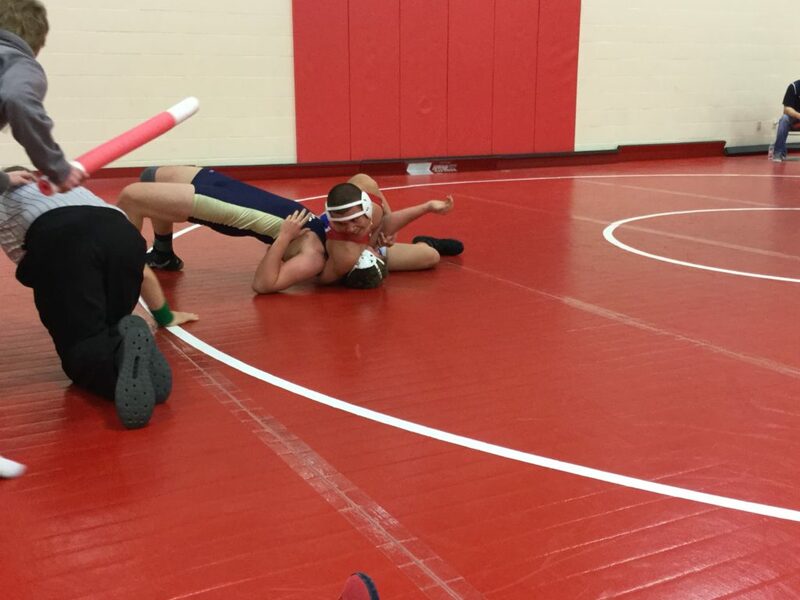 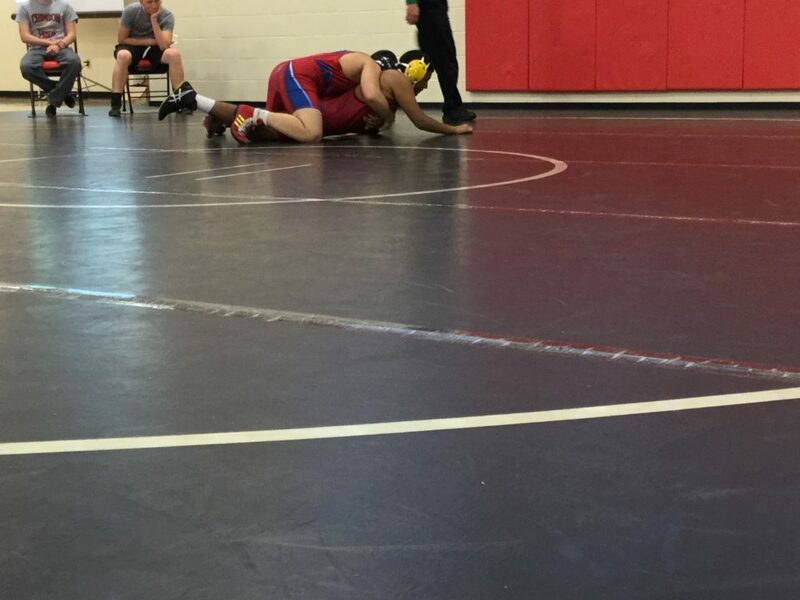 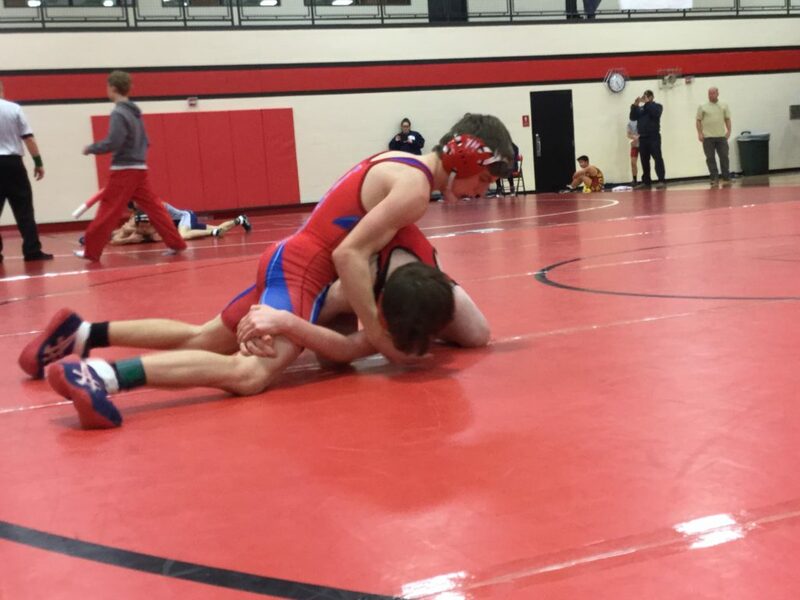 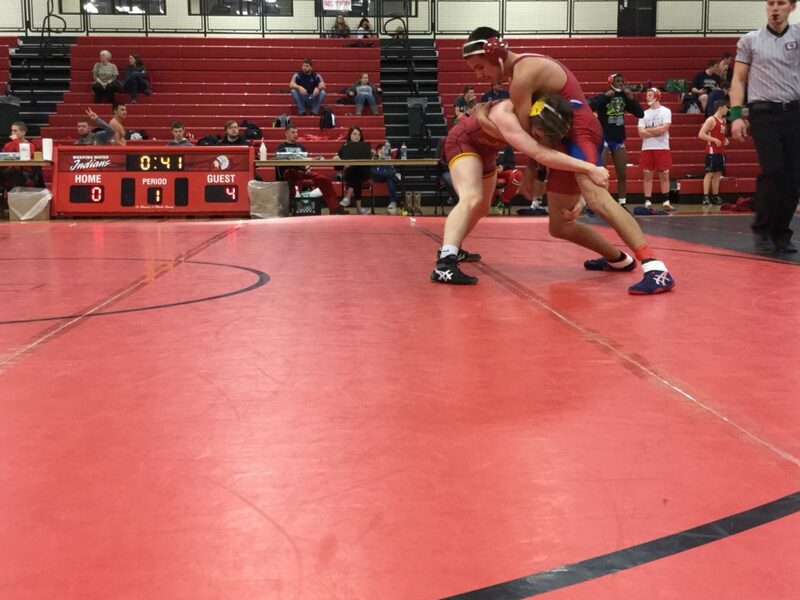 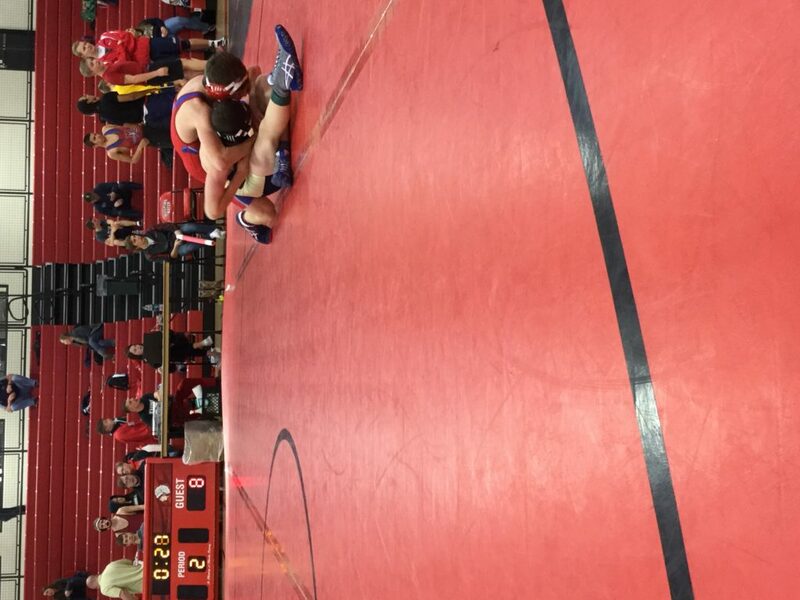 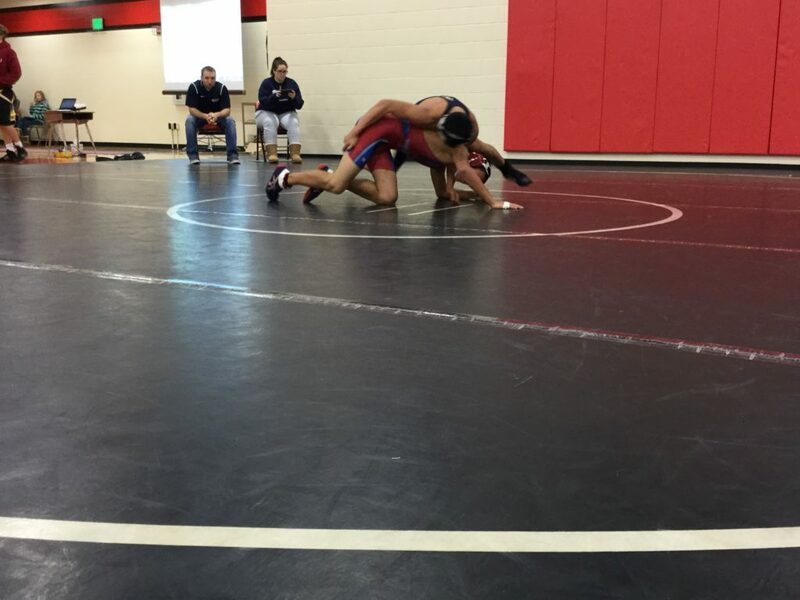 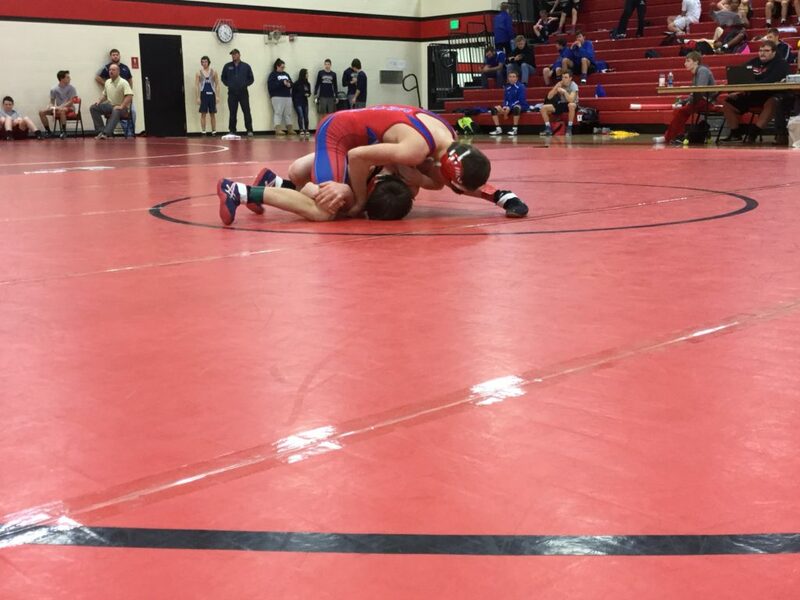 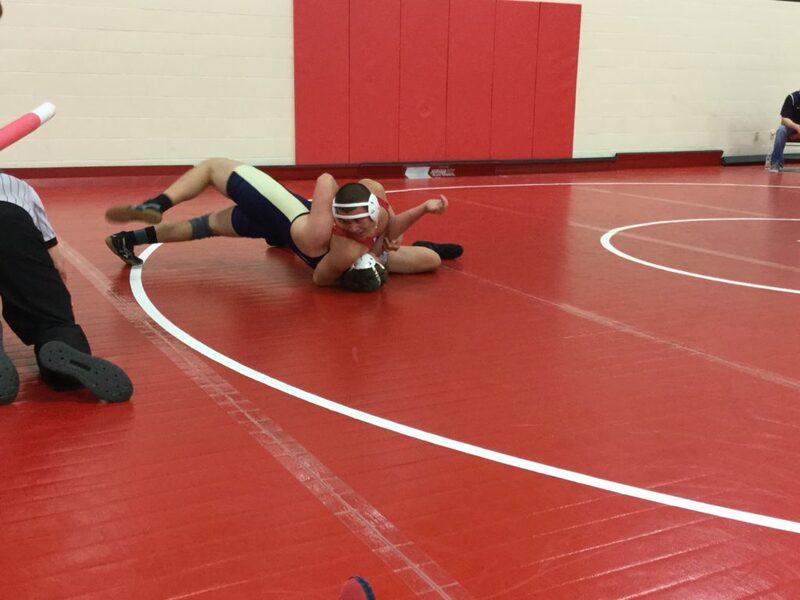 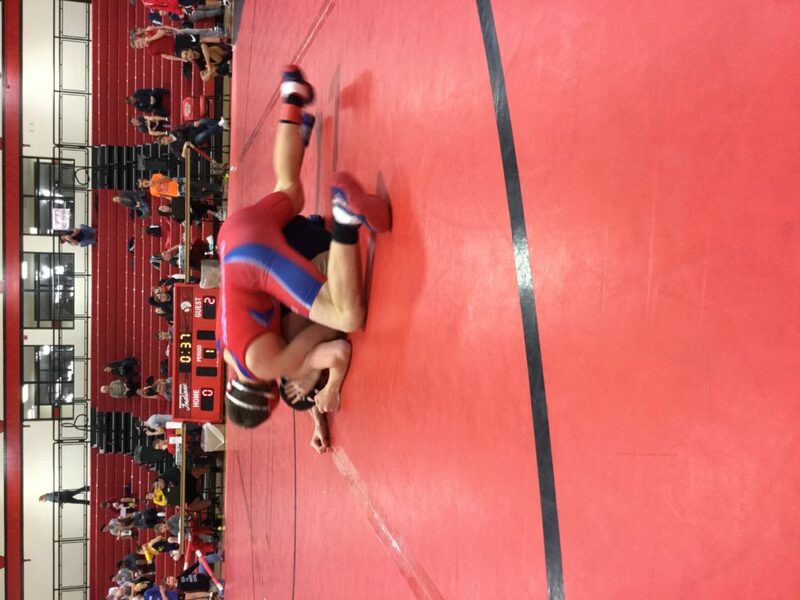 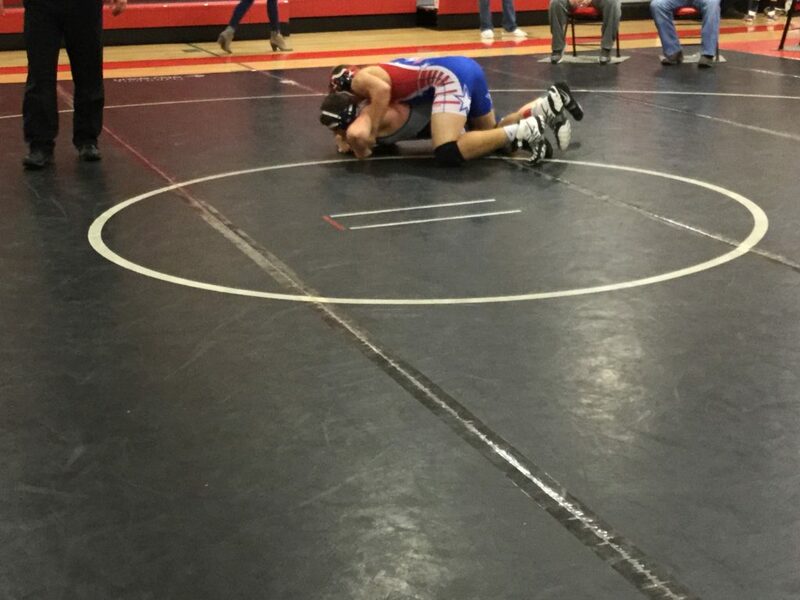 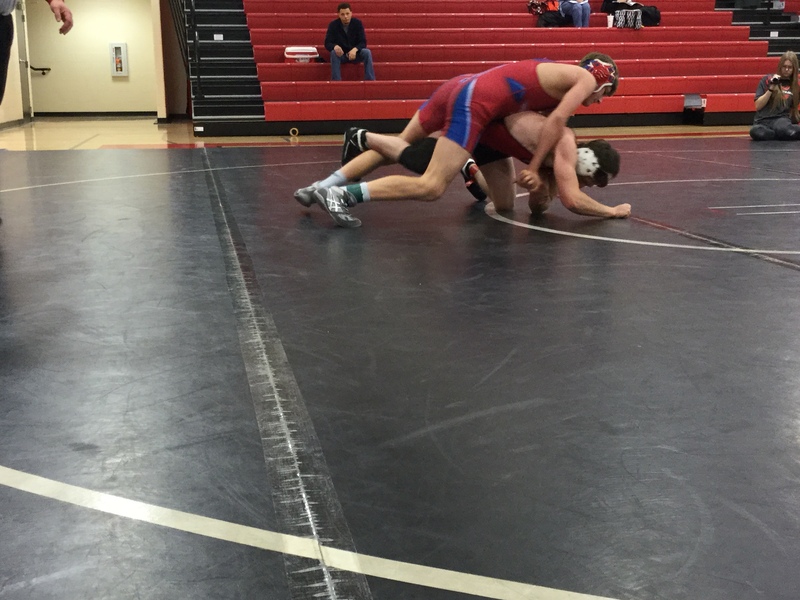 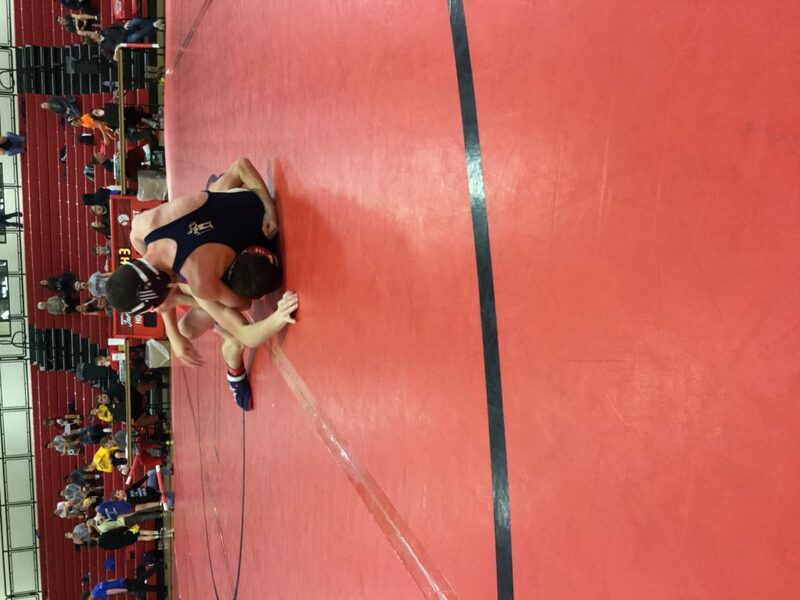 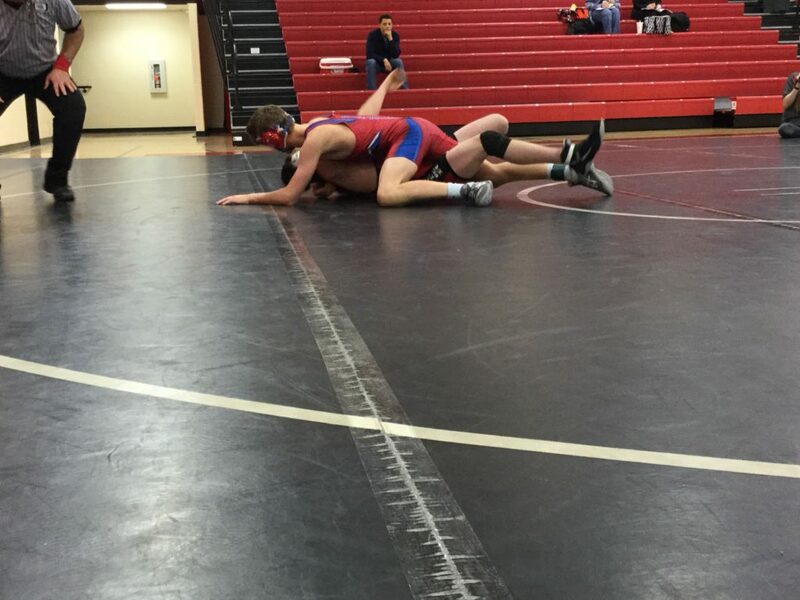 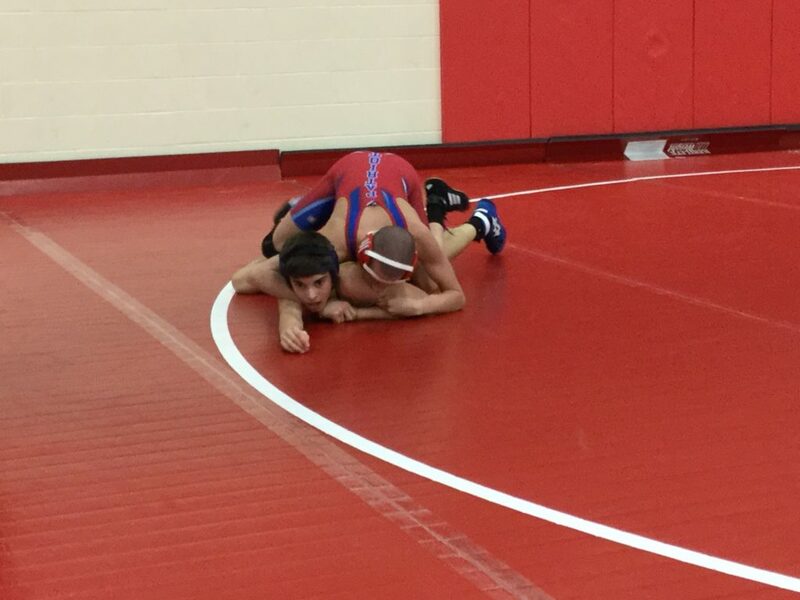 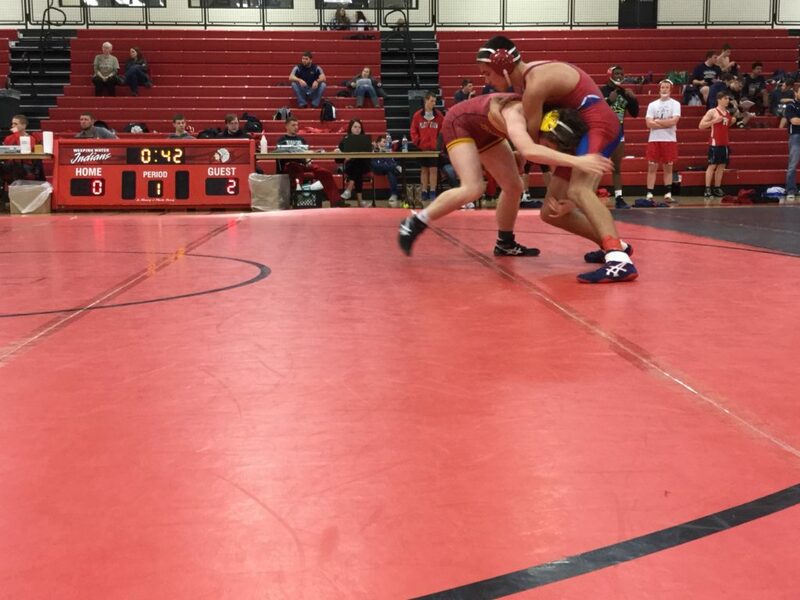 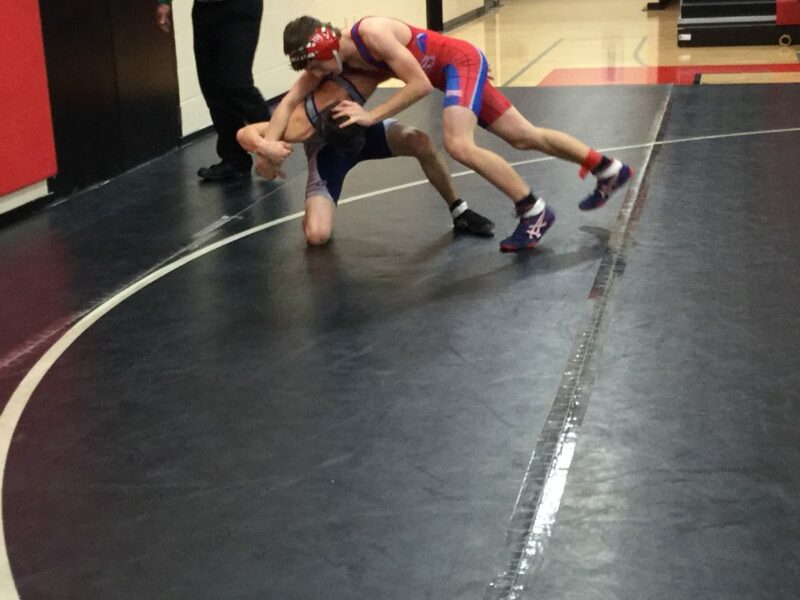 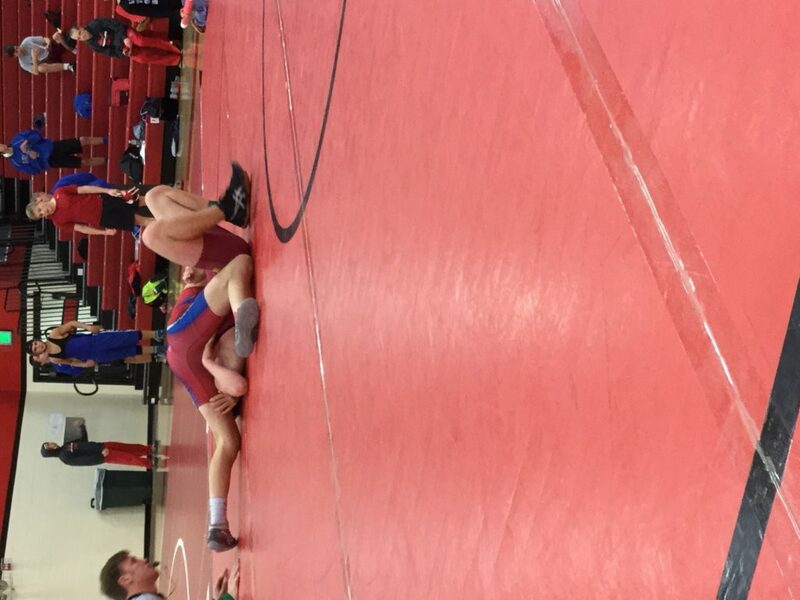 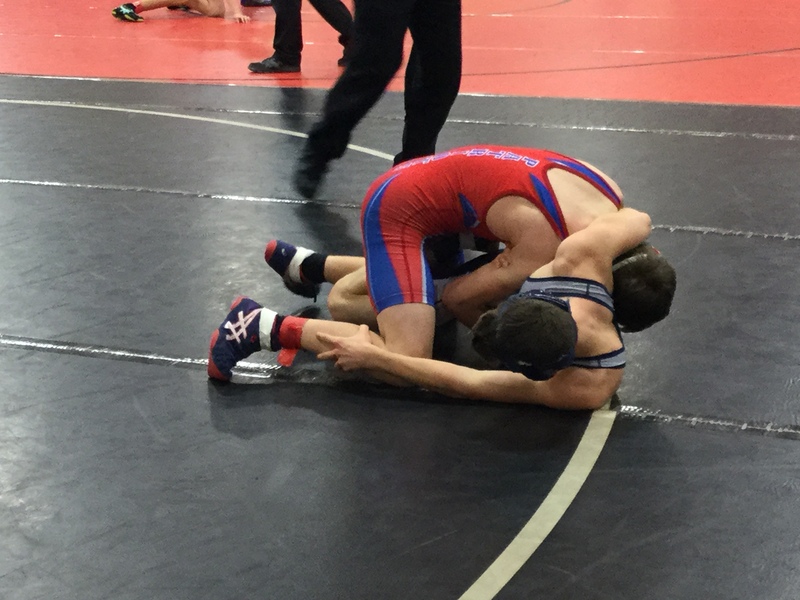 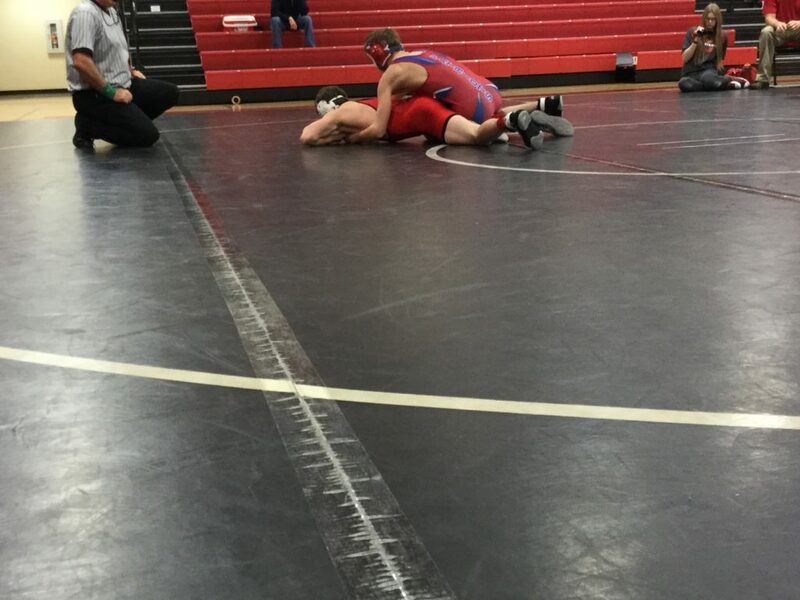 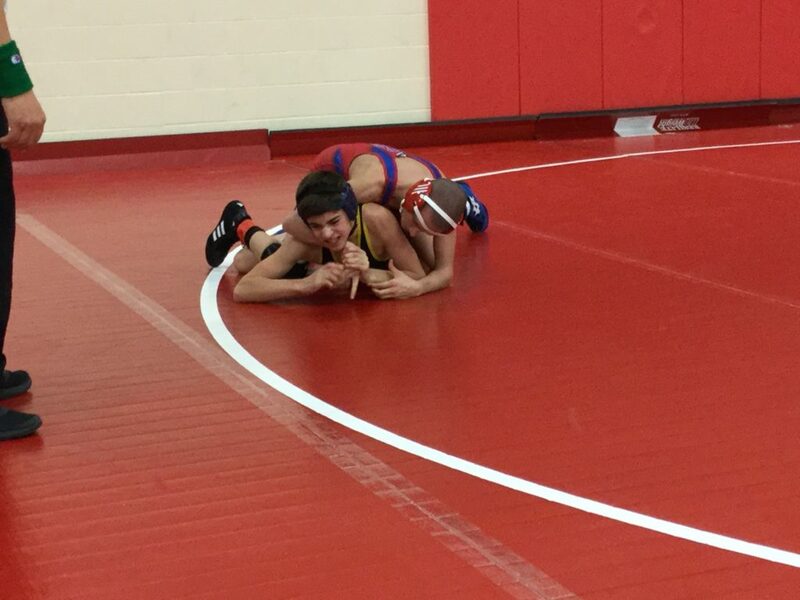 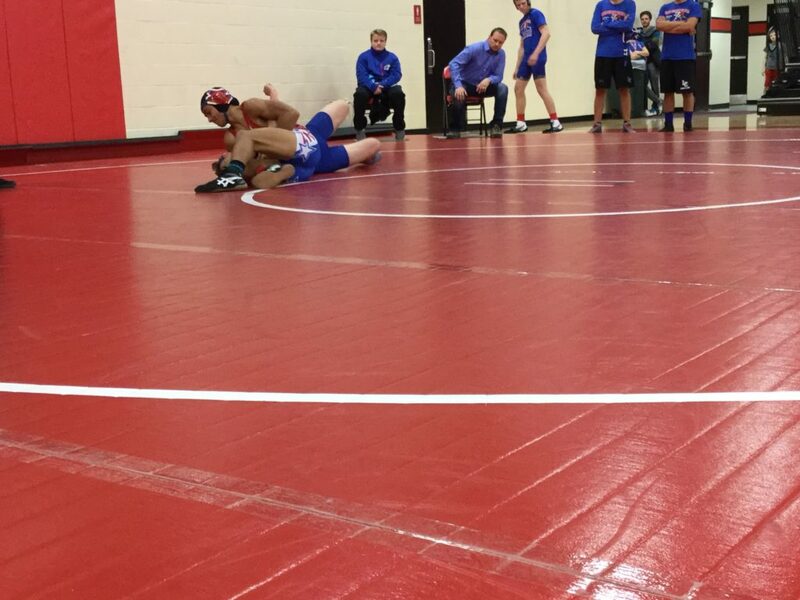 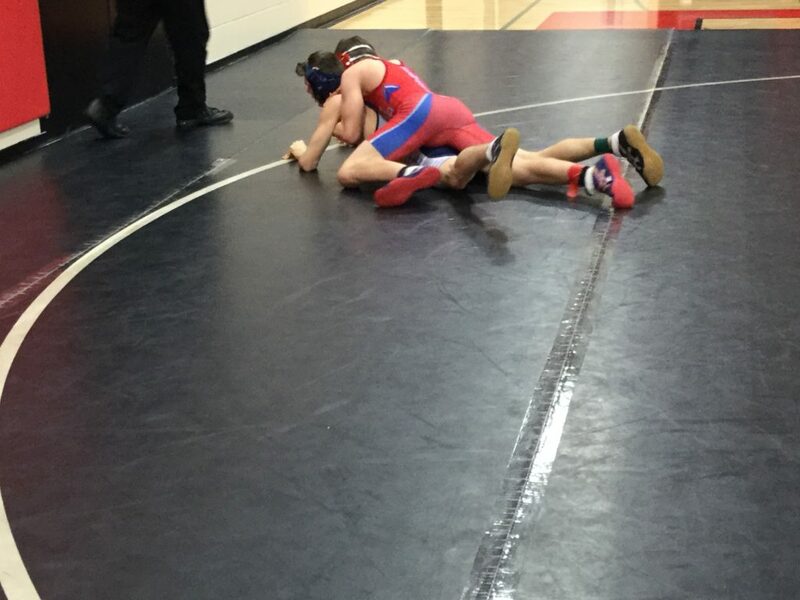 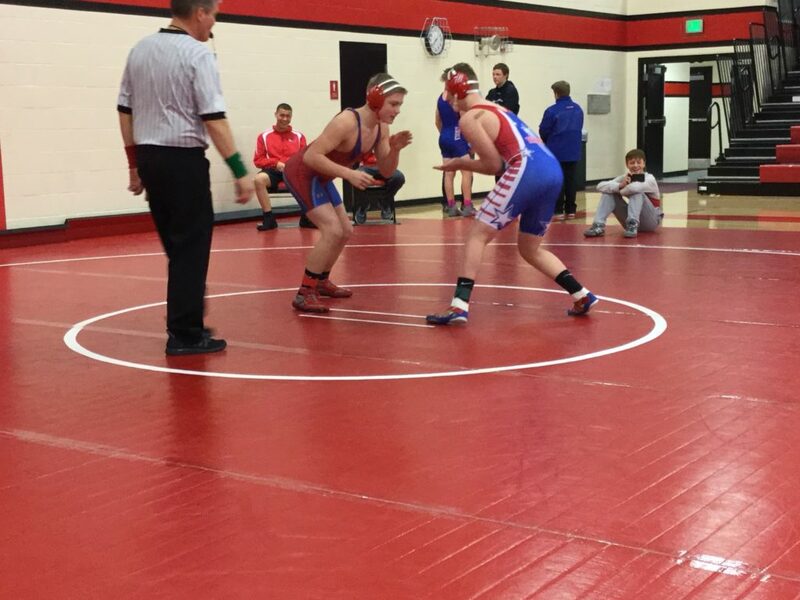 Twelve JV and reserve wrestlers traveled to Weeping Water this past Monday to compete in their JV tournament. 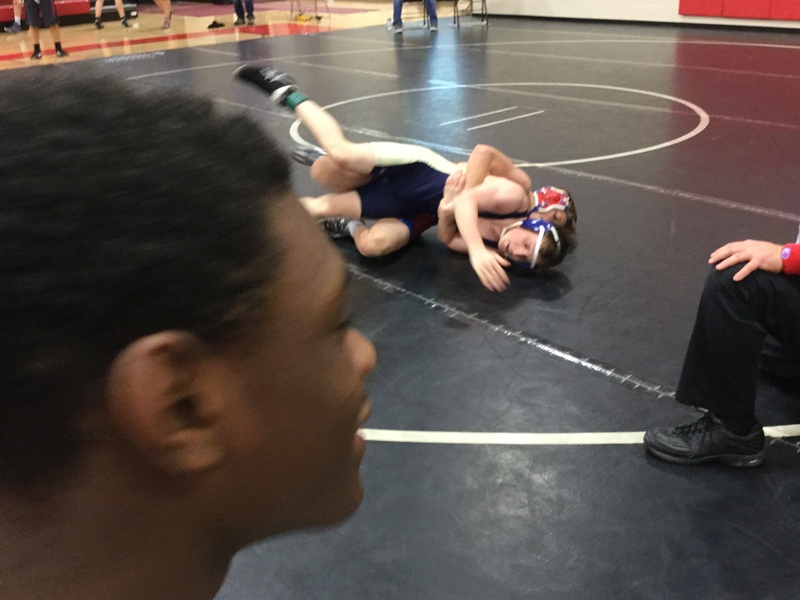 A few them had just been here a week earlier wrestling in their varsity tournament. 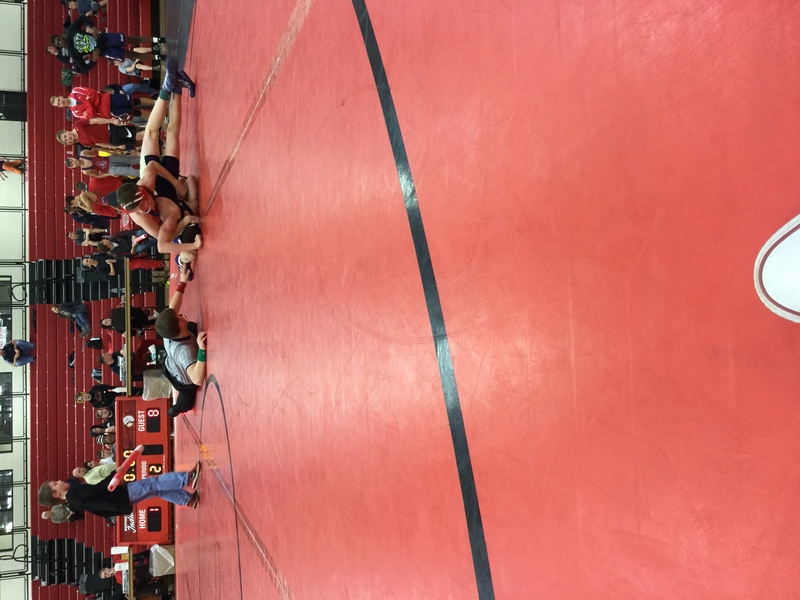 There were a few brackets that were split up to allow every wrestler to maximize their number of matches because at this level the mat time is vitally important. 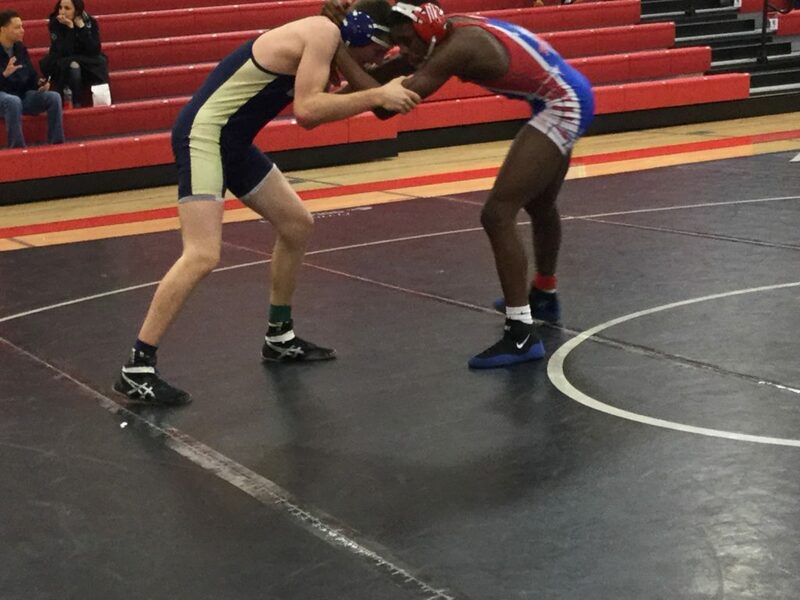 The Patriots had 7 champions on the day. 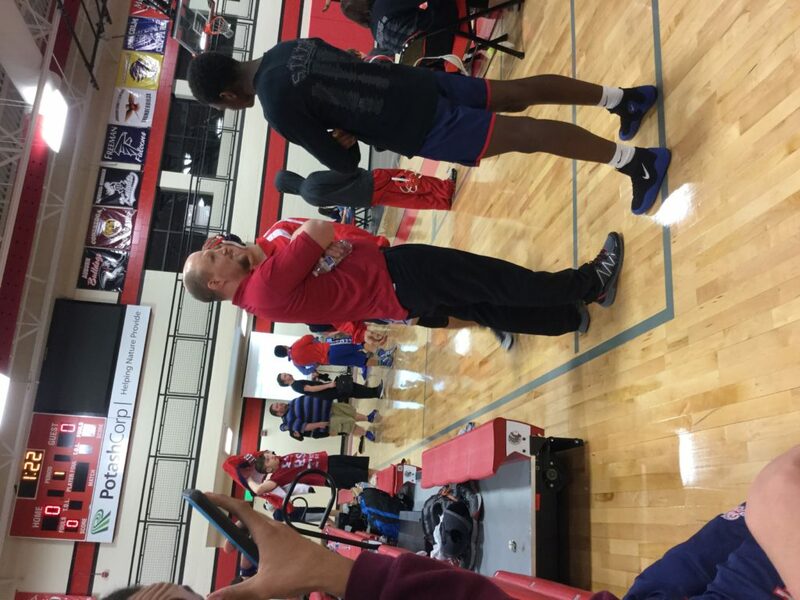 Garry Boro flashed his competitiveness while recording a 4-0 record on the day. 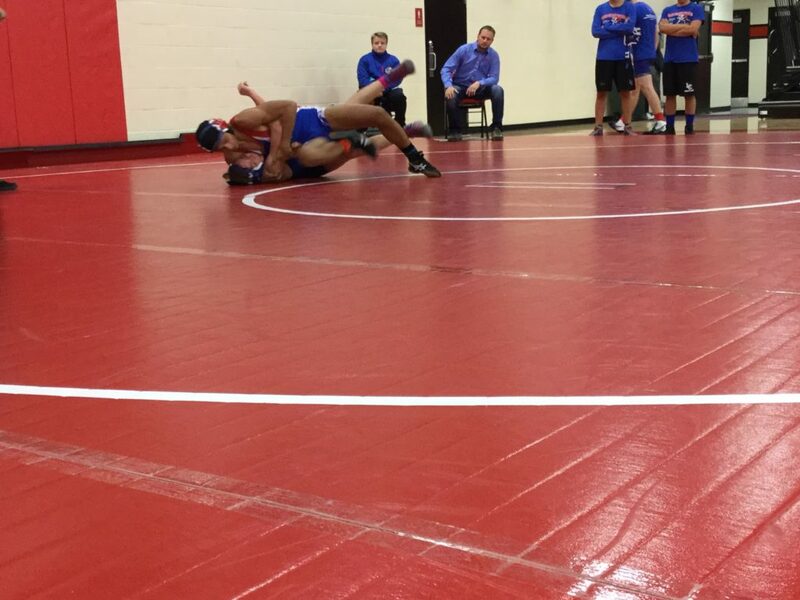 Boro had 2 falls, a win by medical forfeit, and a decisive 7-2 decision. 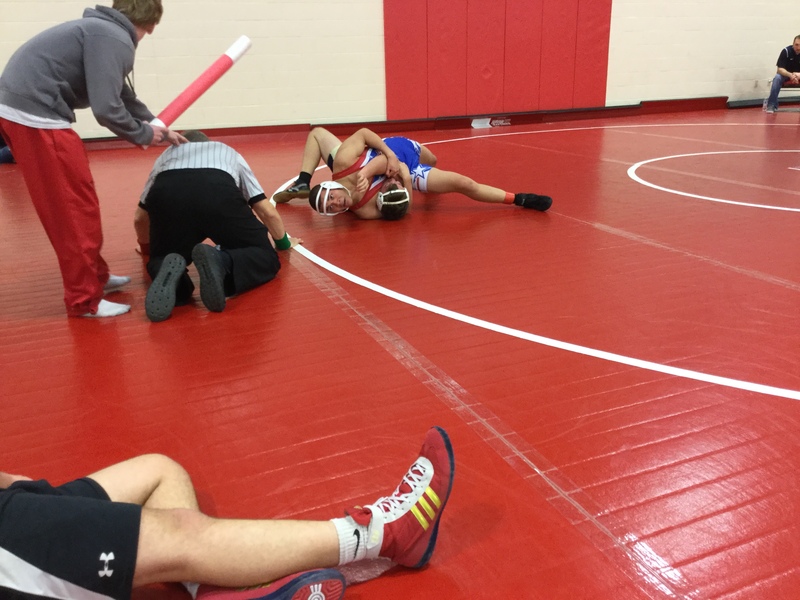 Boro needs to continue to develop his technique in practice, but has shown a strong desire to win matches with gritty performances. 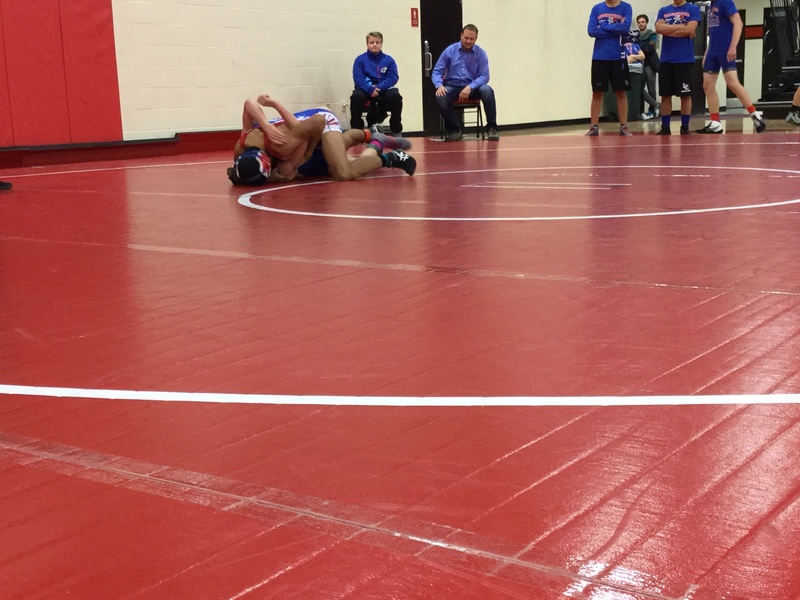 Jeremiah Sistek was 5-0 on the day recording a fall, two majors, and a 12-9 decision on the day. 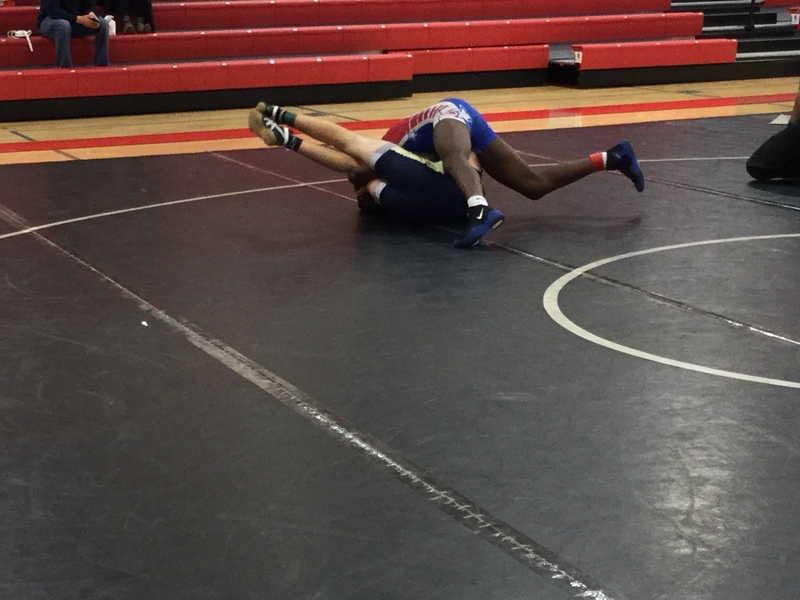 Sistek was a takedown machine on the day recording close to 30 takedowns in his 5 matches. 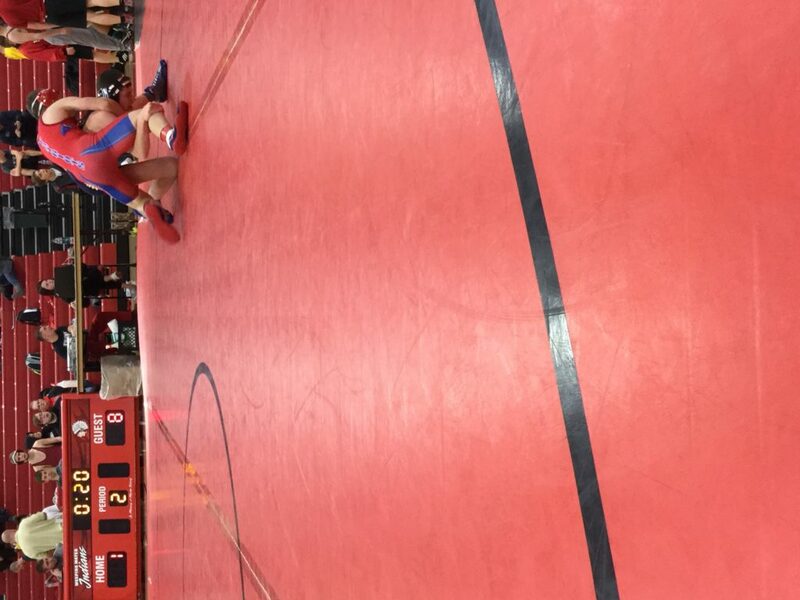 In his close decision, he was out ot a commanding lead when he was reversed and exposed. 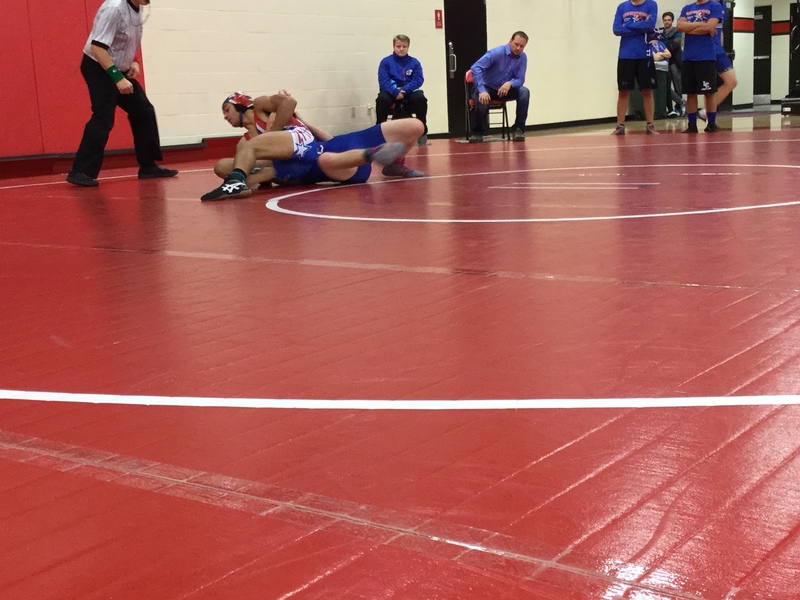 Sistek continues to work on his setups on his feet and his hard work is starting to pay dividends as he’s won 10 of his last 11 matches. 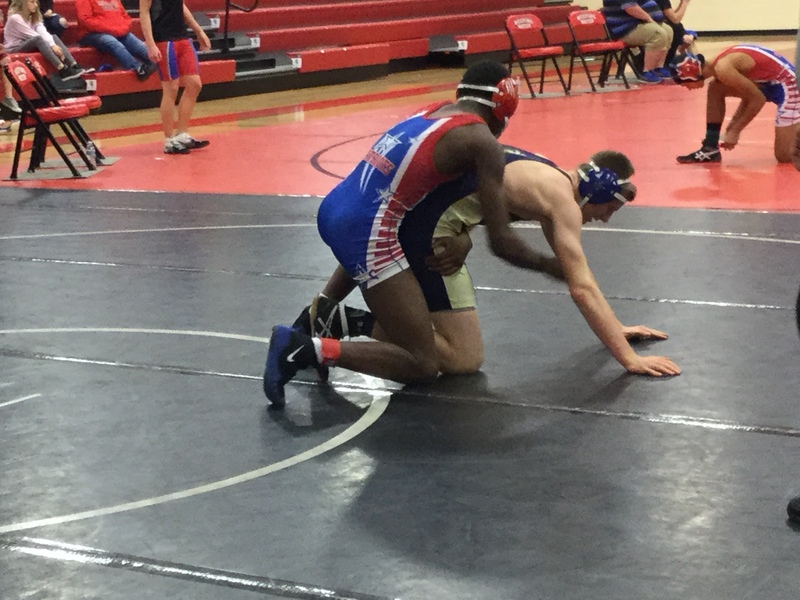 Isaiah Jackson has rebounded from an illness in the previous loss that lead to some weight loss so he’s down a weight class wrestling at 152 pounds. 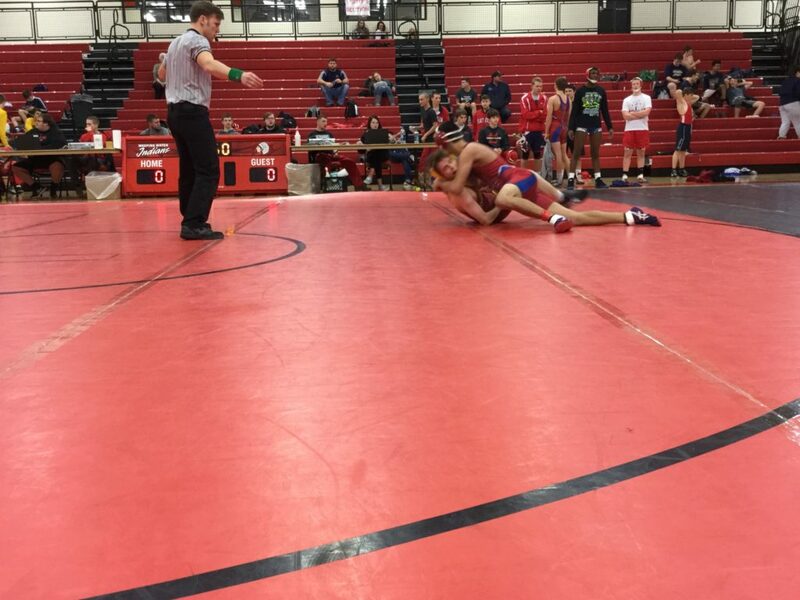 Jackson and teammate Al Cunningham both ended up winning two different 152 weight brackets so we didn’t get to see an all Millard South final at that weight class although that would have been a barn burner. Both are sophomores that moved into the Millard South district in the past year- Cunningham from Papio South and Jackson came from North Platte. 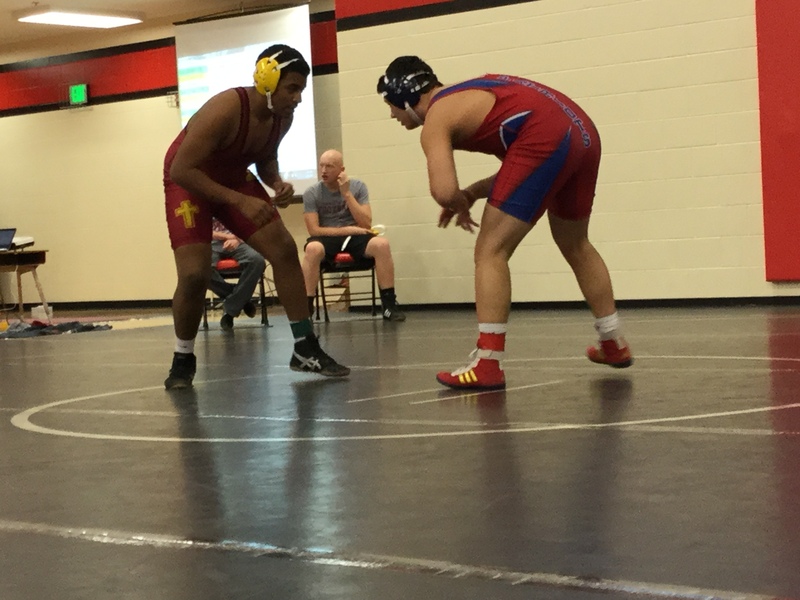 They both could be key pieces long term if they stay committed especially considering the varsity line-up currently has 9 seniors. 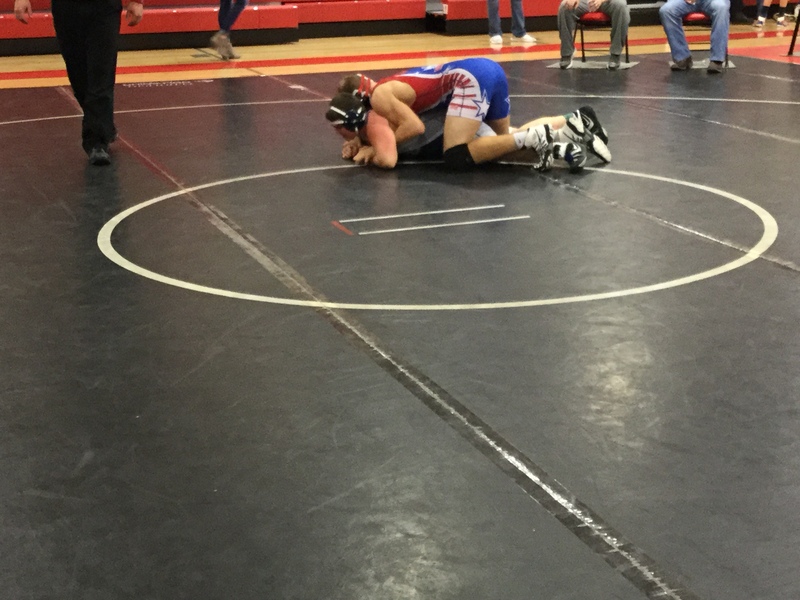 Jackson finished the day 3-0 with 2 pins and a major decision while Cunningham was 3-0 with a pin, a major decision and a win by decision. Cunningham avenged a loss from earlier in the year in a grinder where he took the match over in double OT showing his trademark explosiveness. 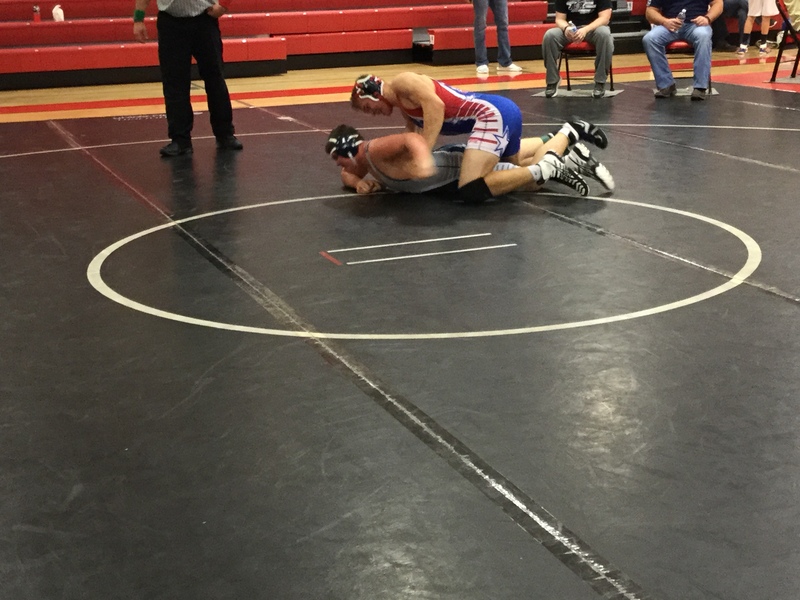 Gavin Peitzmeier was also a champion in the 182 pound weight class. 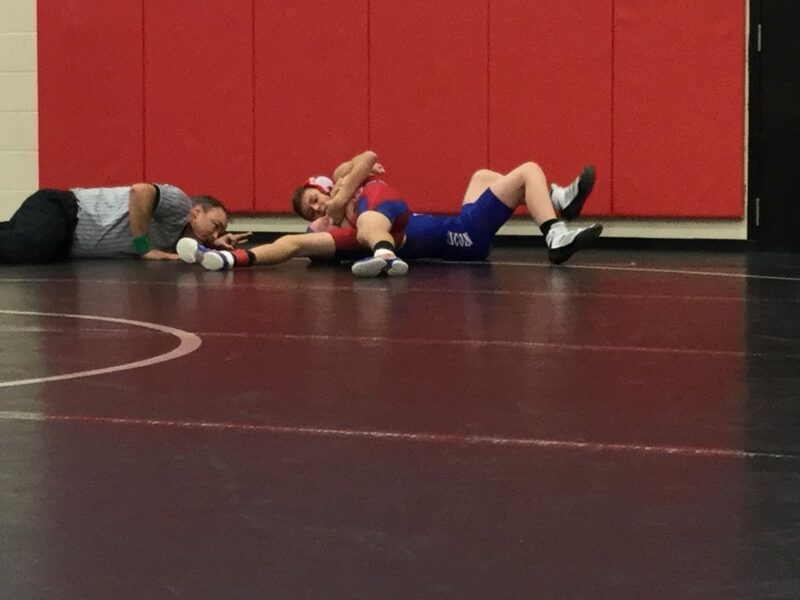 This author may sound like a broken record, but Peitzmeier continues to improve his technique on his feet. 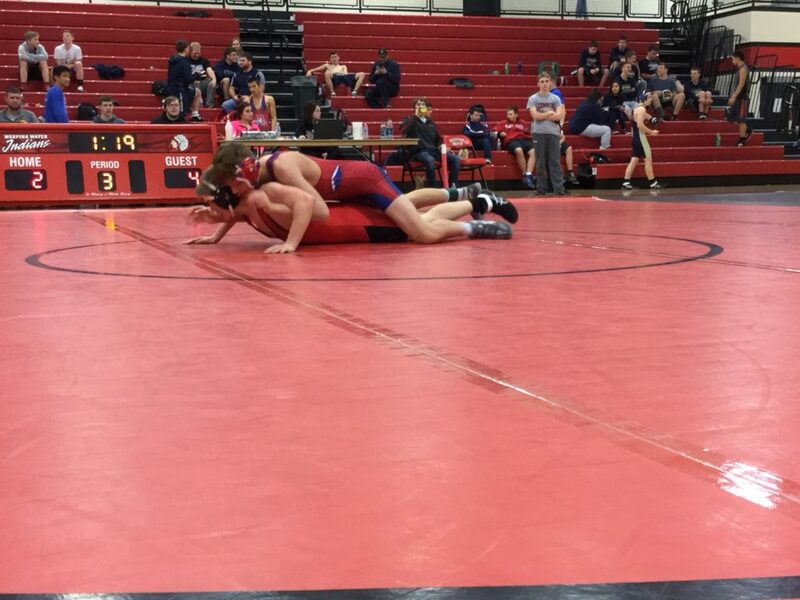 Peitzmeier is currently riding a 12 match win streak. 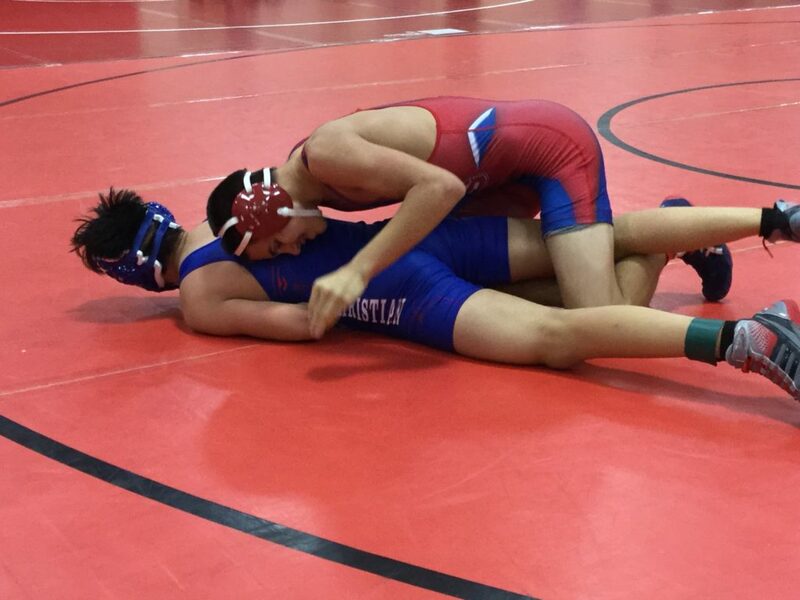 Krew Tran won the 195/220 pound weight class that had to be combined to maximize the number or wrestlers. 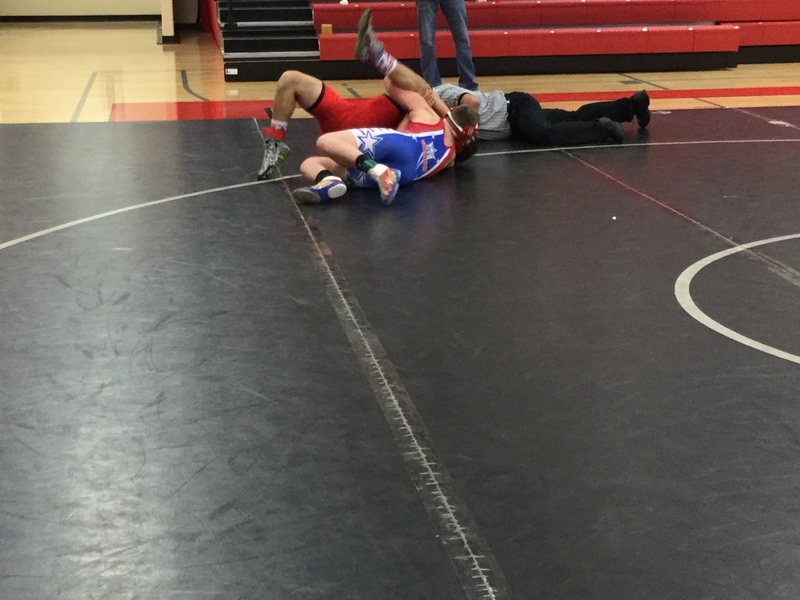 Tran tips the scales at 180 pounds so this is quite the accomplishment. He wrestles up in an effort to fill weight classes for the team. 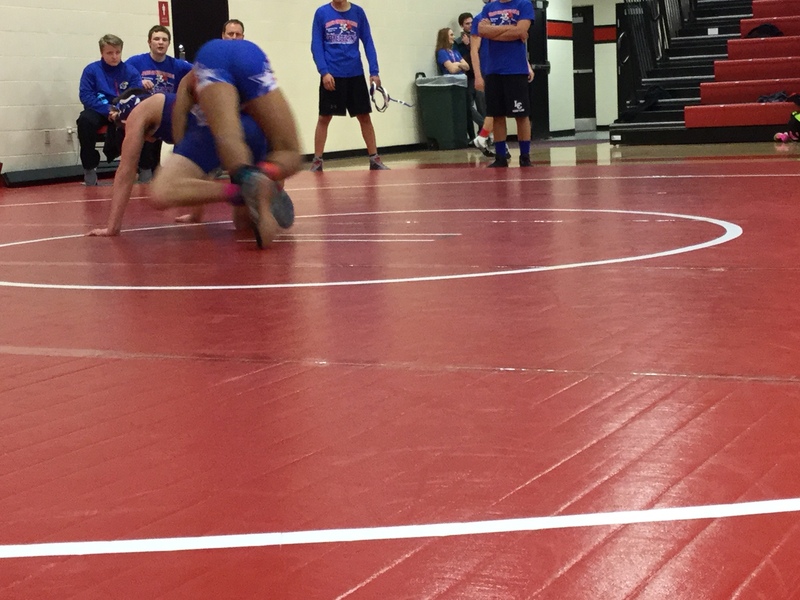 Tran has a lightning quick double leg that he was able to use frequently in this meet. 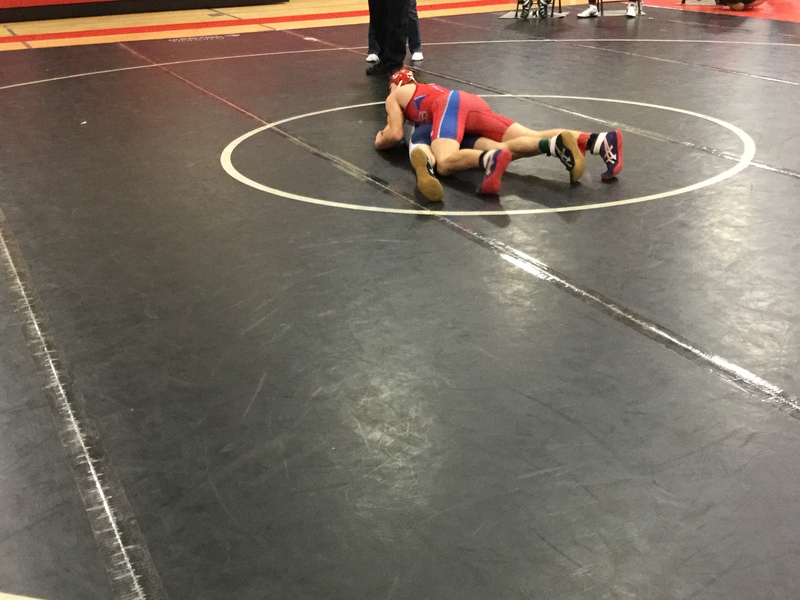 He continues to work on setting it up and finishing it because when he’s taking care of all the details it’s hard to stop. 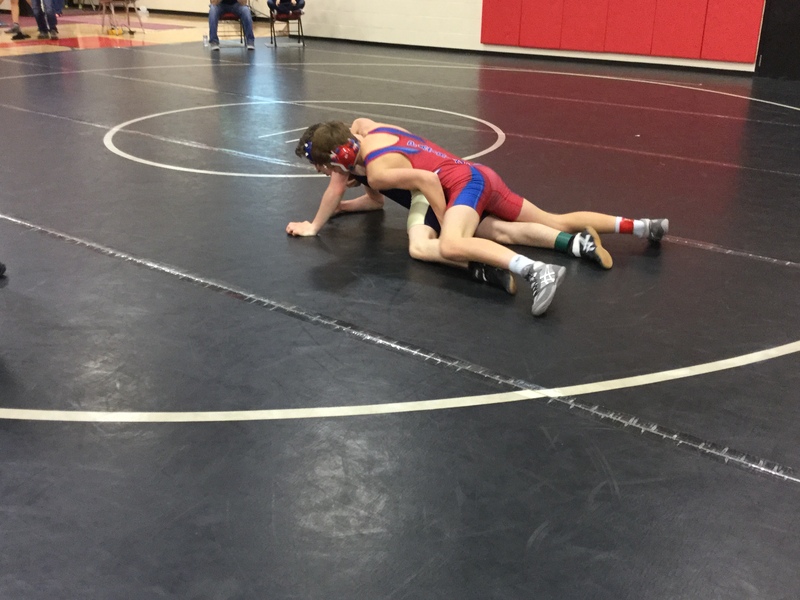 The Patriots had other solid performances from a host of wrestlers including Gavin Hill’s 3rd place at 106 pounds picking up a couple victories on the day. 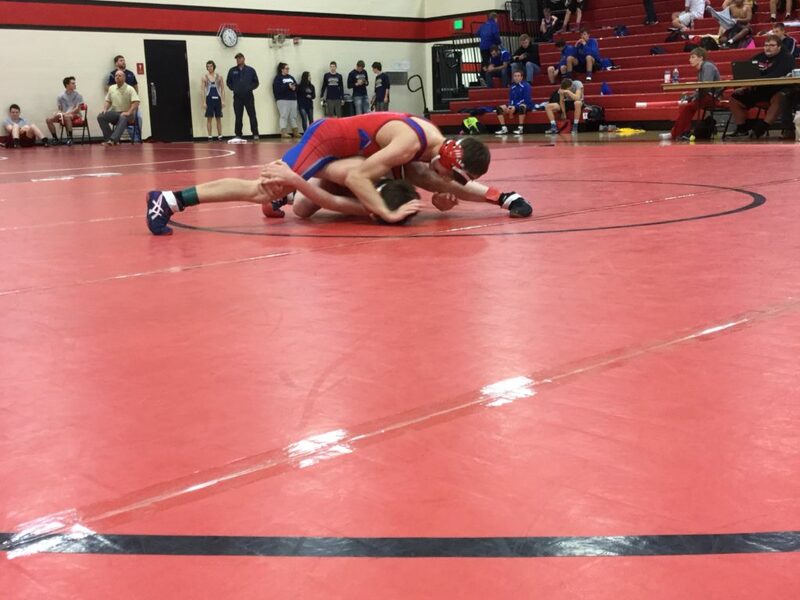 Josh Koehler placed 2nd based off criteria after going 3-2 on the day. 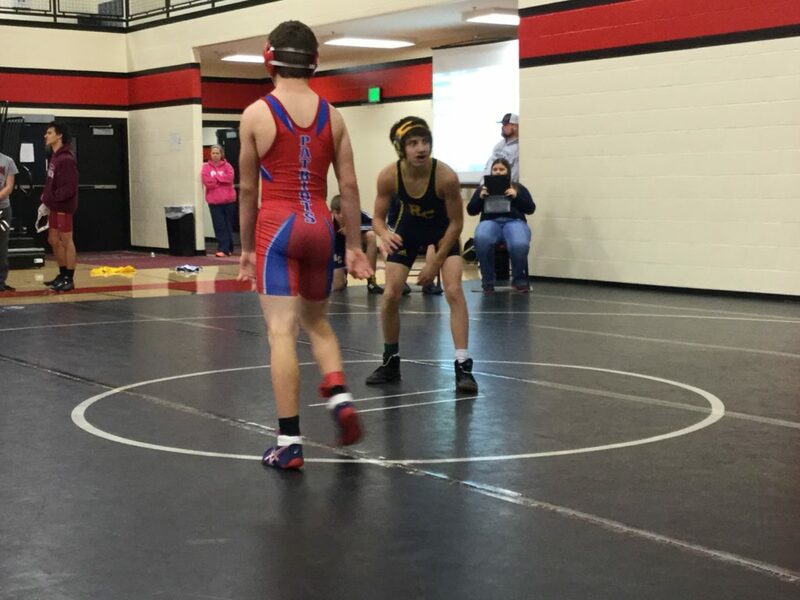 Dakota Lynch also placed 2nd on the day going 3-1. 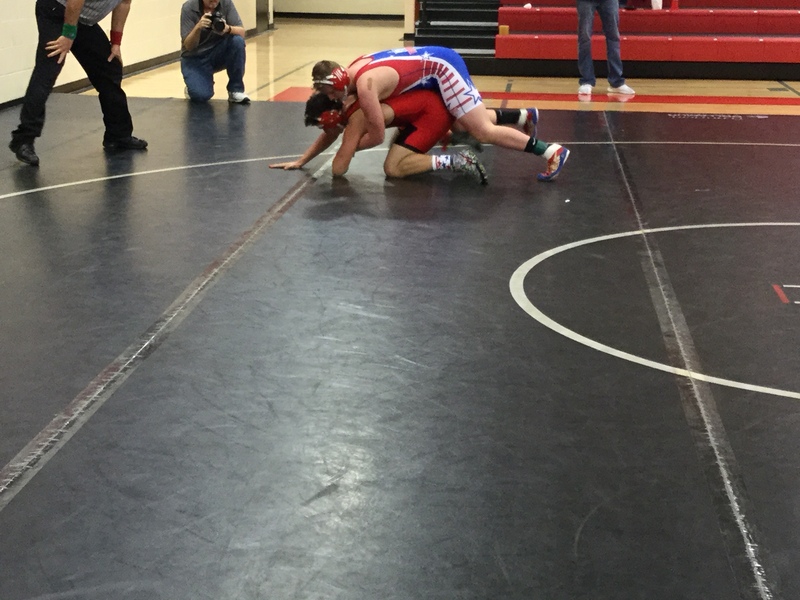 Drake Angerman finished the day 1-2 to finish in 3rd place. 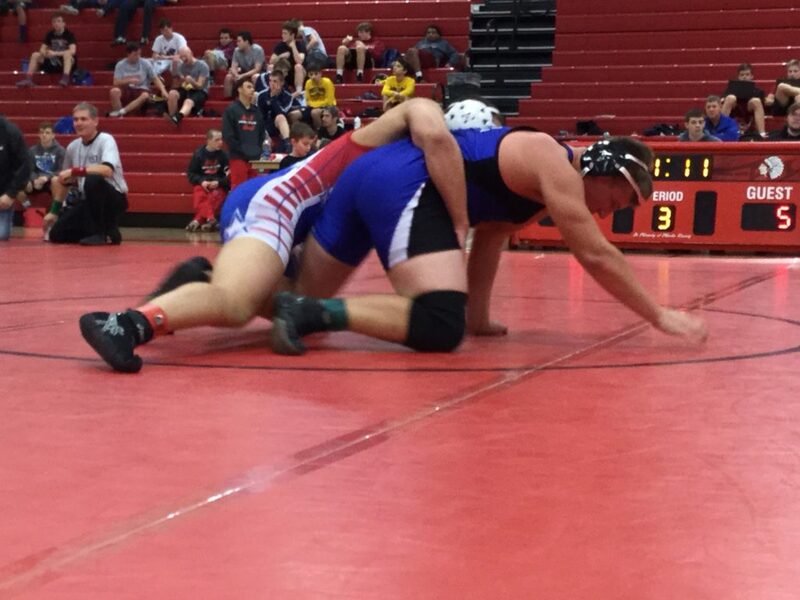 Dalton Frederick lost a tough one in the finals 3-0 to finish the day in 2nd place with a 2-1 record. 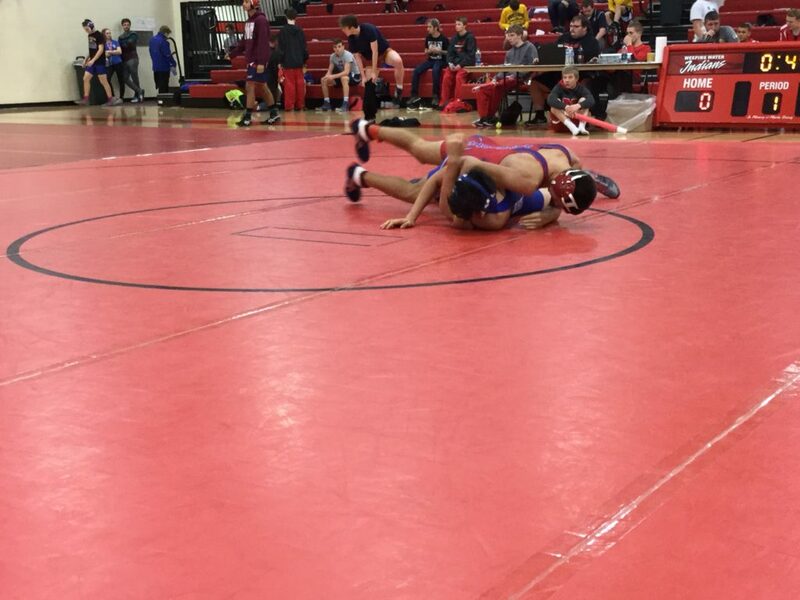 WW JV 106 – Garry Boro’s place is 1st and has scored 16.00 team points. 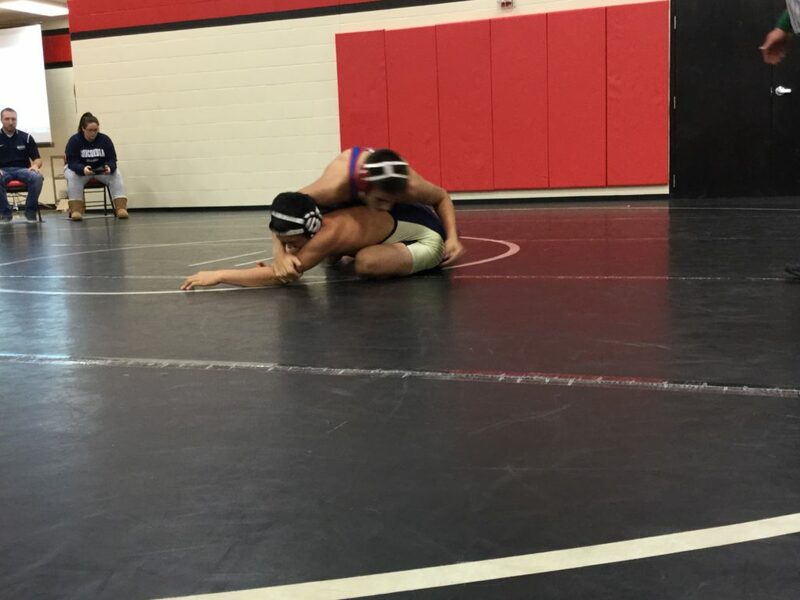 WW JV 106 – Gavin Hill’s place is 3rd and has scored 7.00 team points. 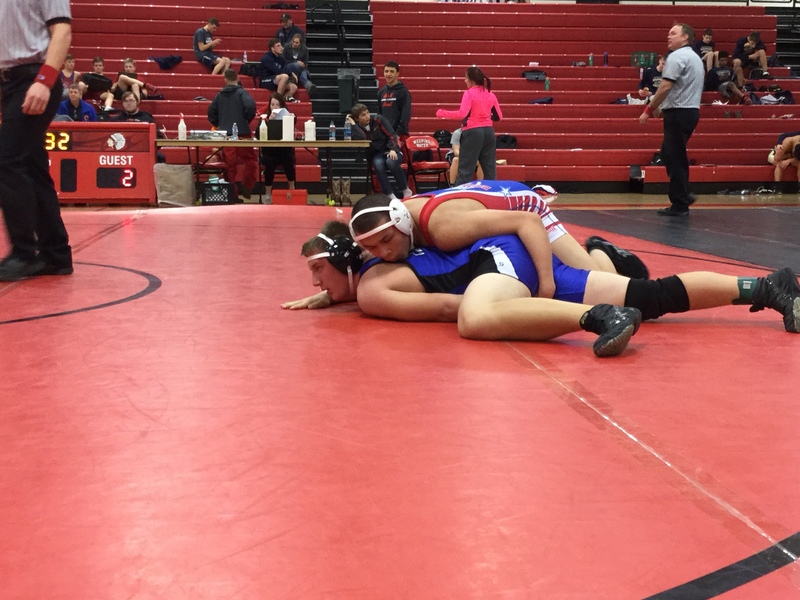 WW JV 120 – Jeremiah Sistek’s place is 1st and has scored 21.50 team points. 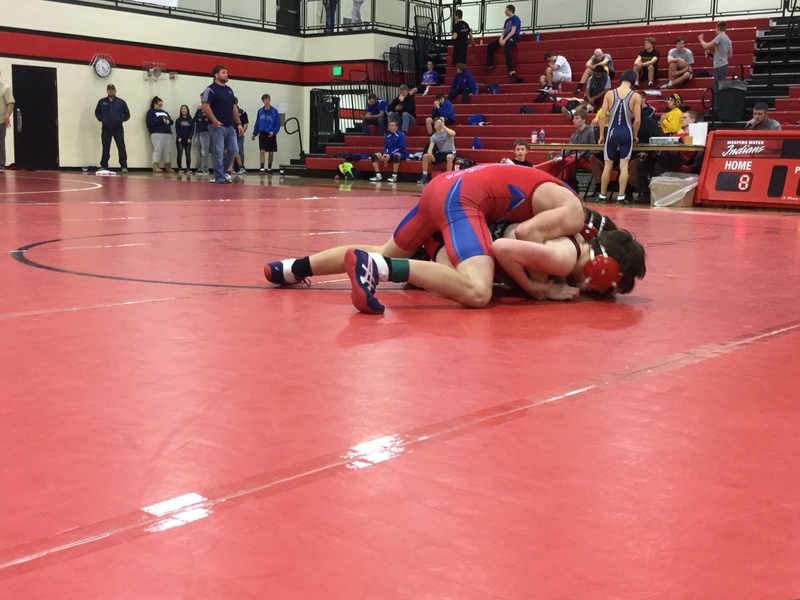 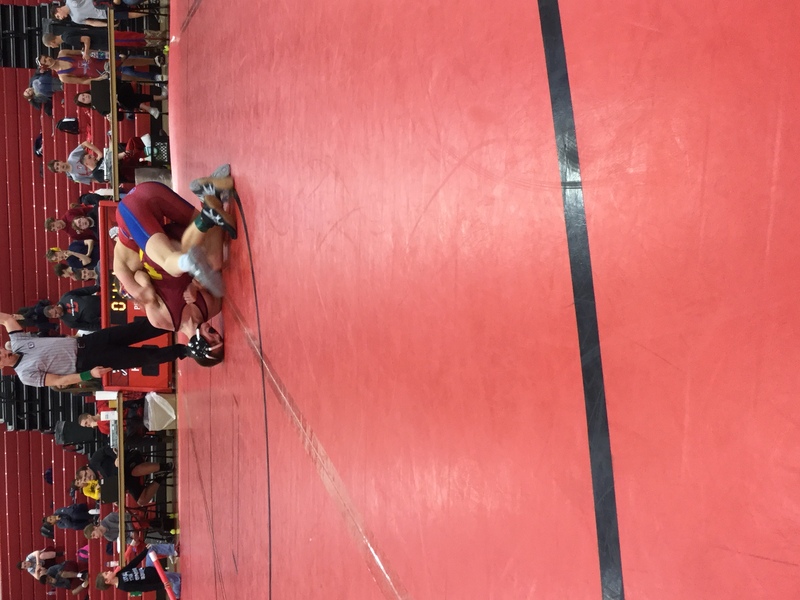 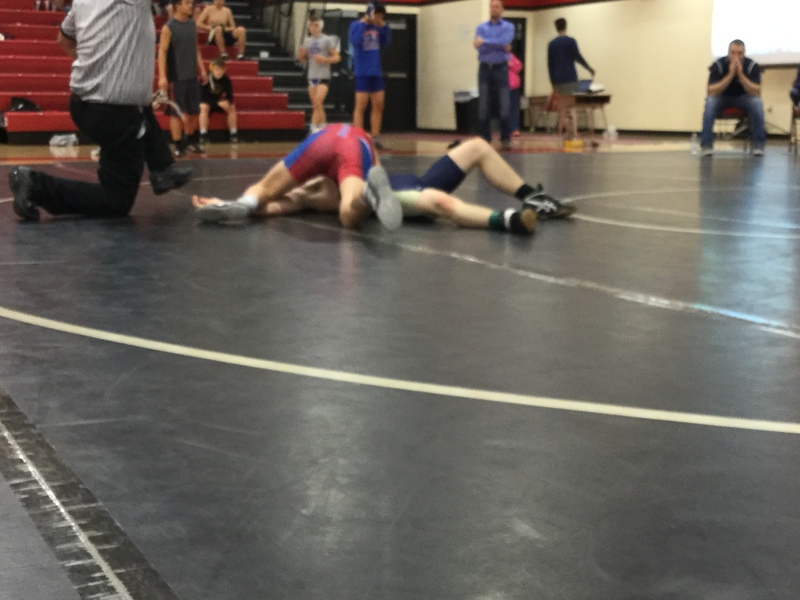 WW JV 132 – Joshua Koehler’s place is 2nd and has scored 17.00 team points. 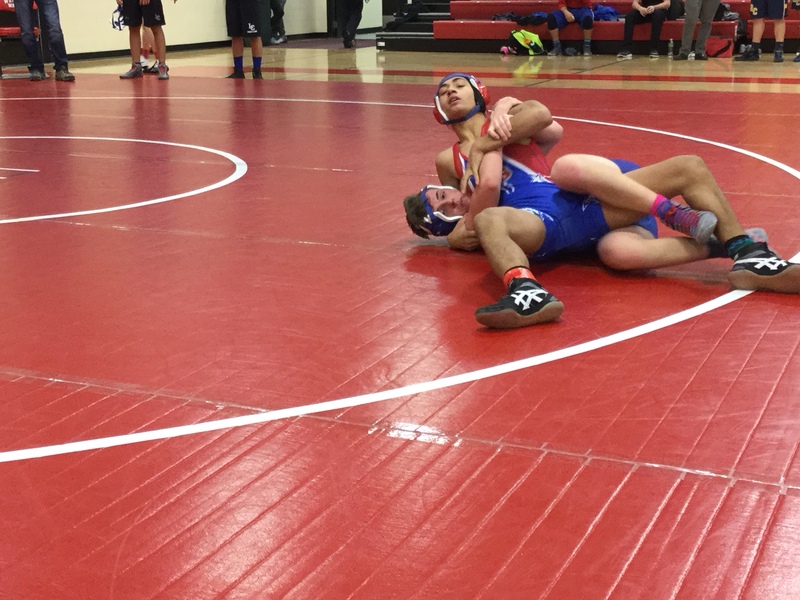 WW JV 145 – Dakota Lynch’s place is 2nd and has scored 12.00 team points. 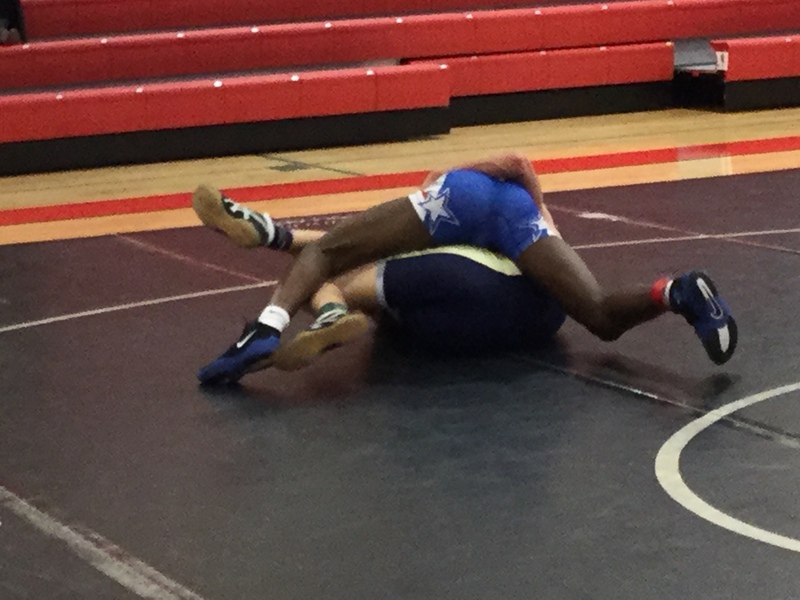 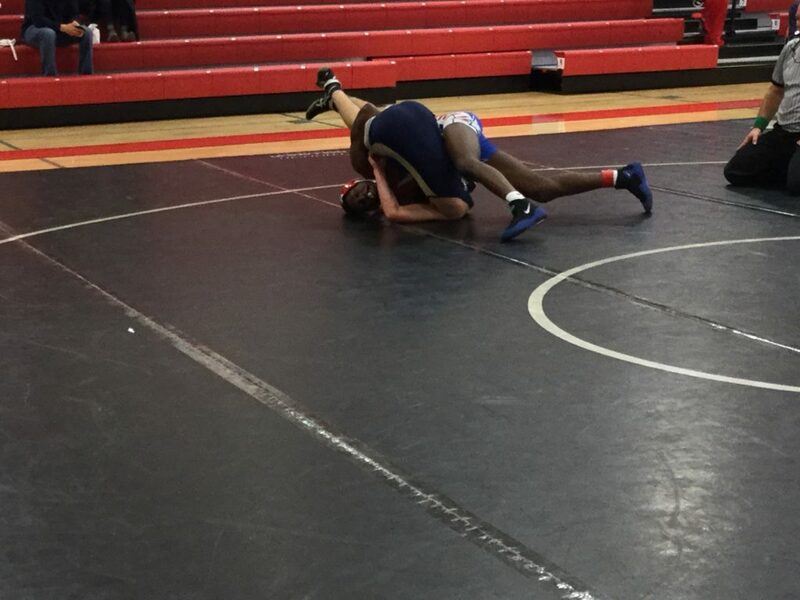 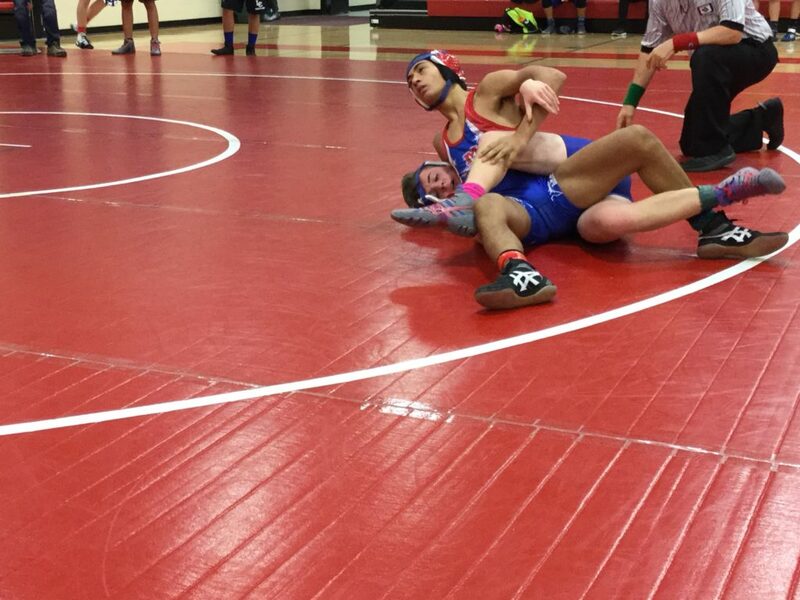 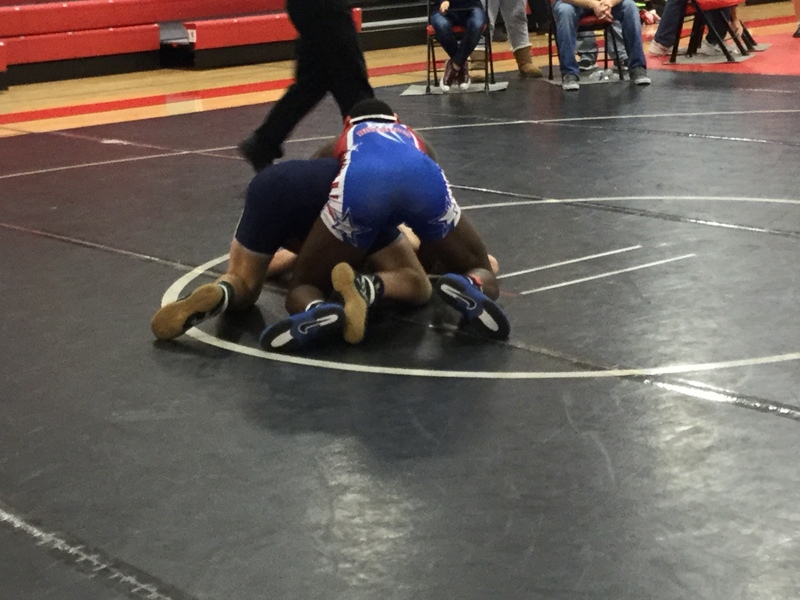 WW JV 152 – Isaiah Jackson’s place is 1st and has scored 19.00 team points. 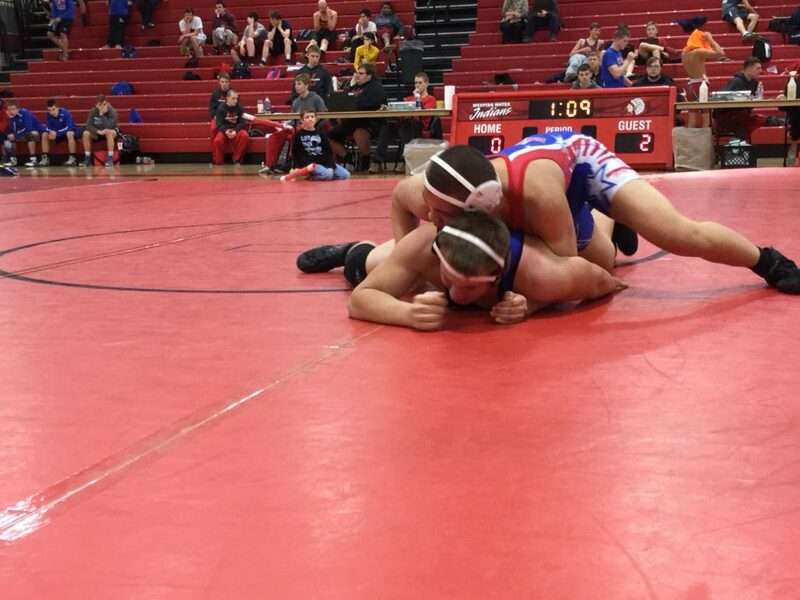 WW JV 152B – Drake Angerman’s place is 3rd and has scored 7.00 team points. WW JV 152B – Alfonso Cunningham’s place is 1st and has scored 17.00 team points. 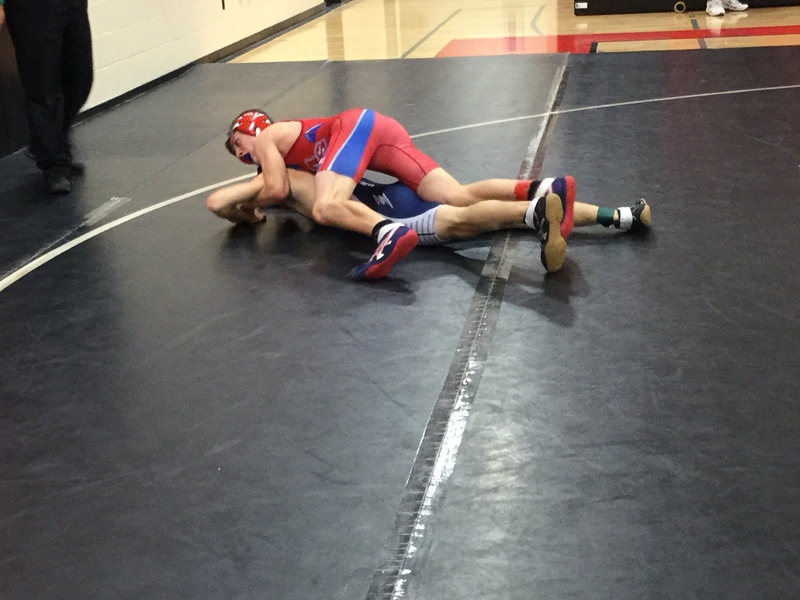 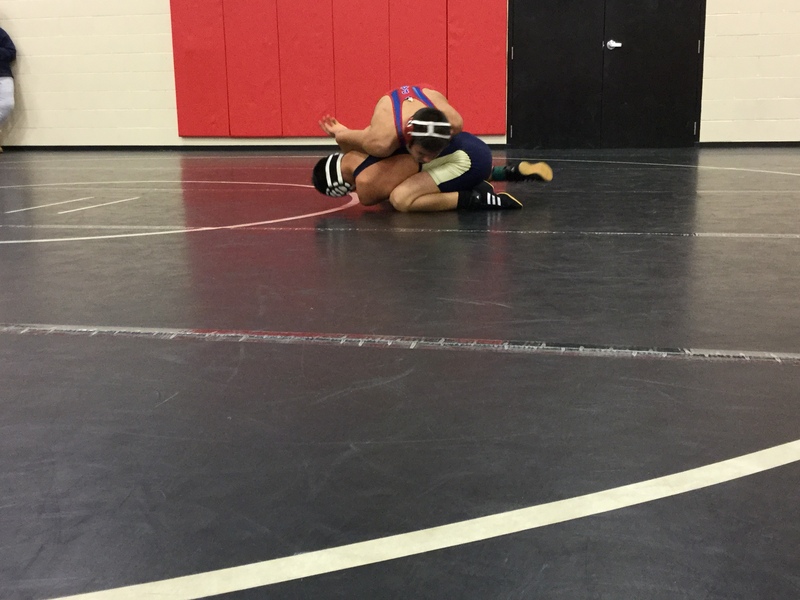 WW JV 160 – Matt Delaware’s place is 1st and has scored 16.00 team points. 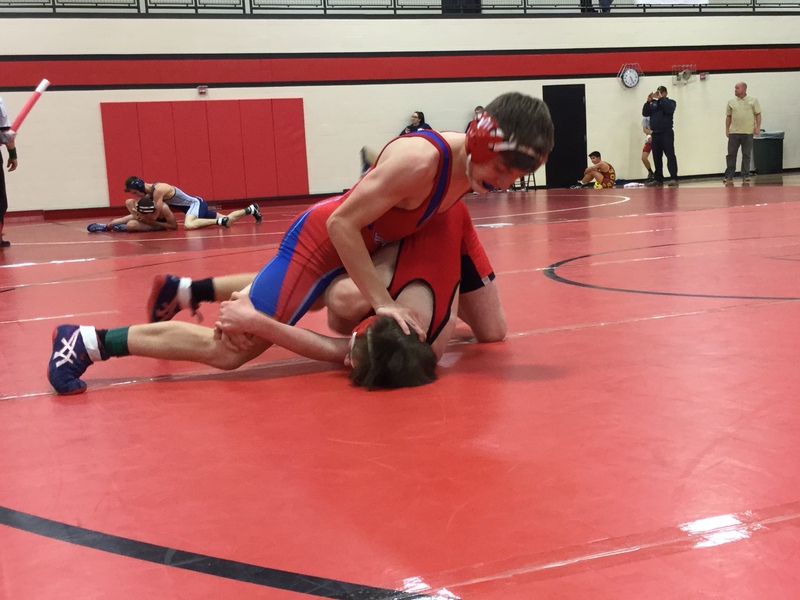 WW JV 160 – Zach Larson’s place is 2nd and has scored 14.00 team points. 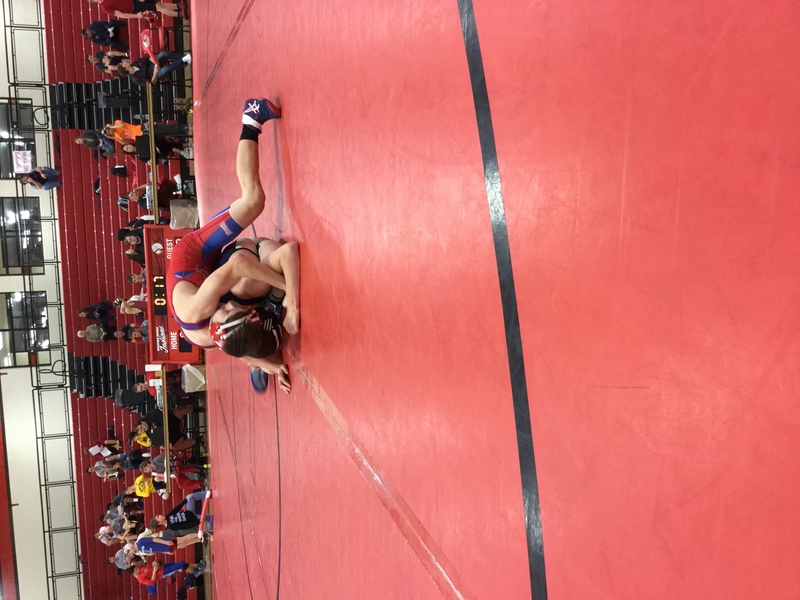 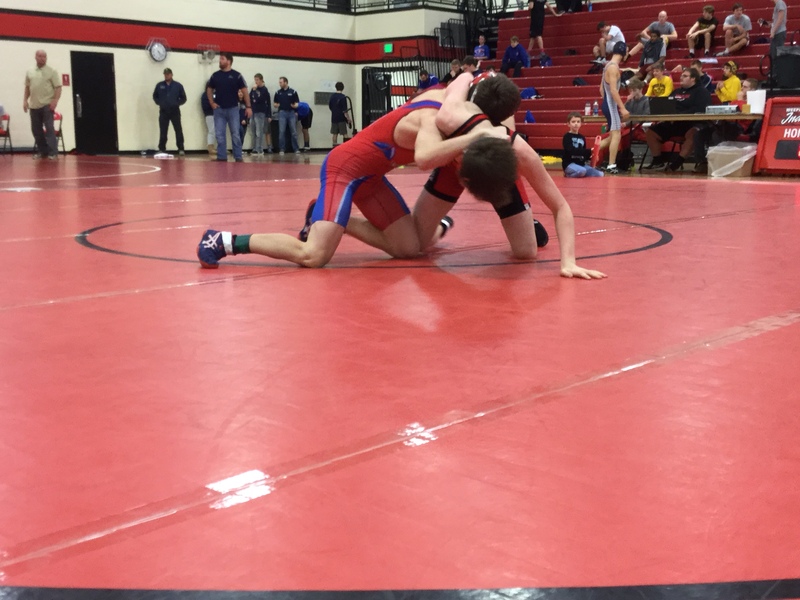 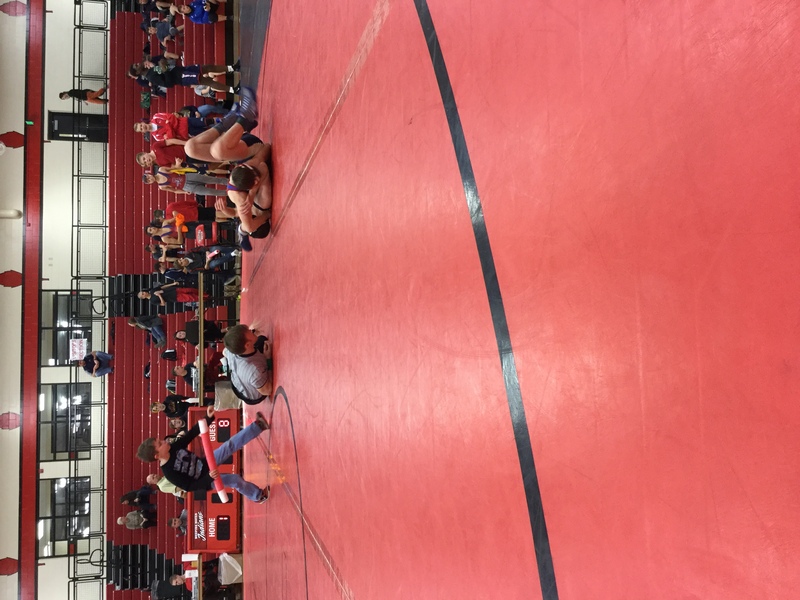 WW JV 172B – Dalton Frederick’s place is 2nd and has scored 14.00 team points. 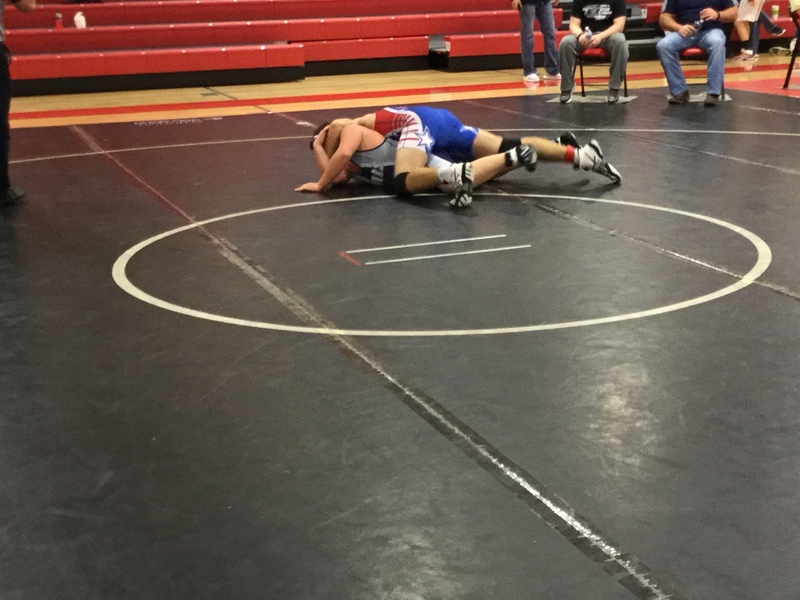 WW JV 182 – Gavin Peitzmeier’s place is 1st and has scored 17.00 team points. 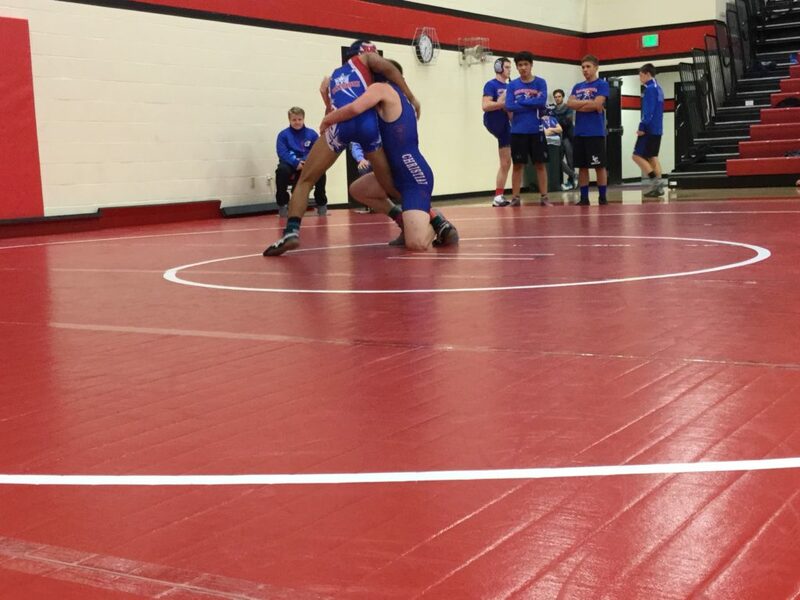 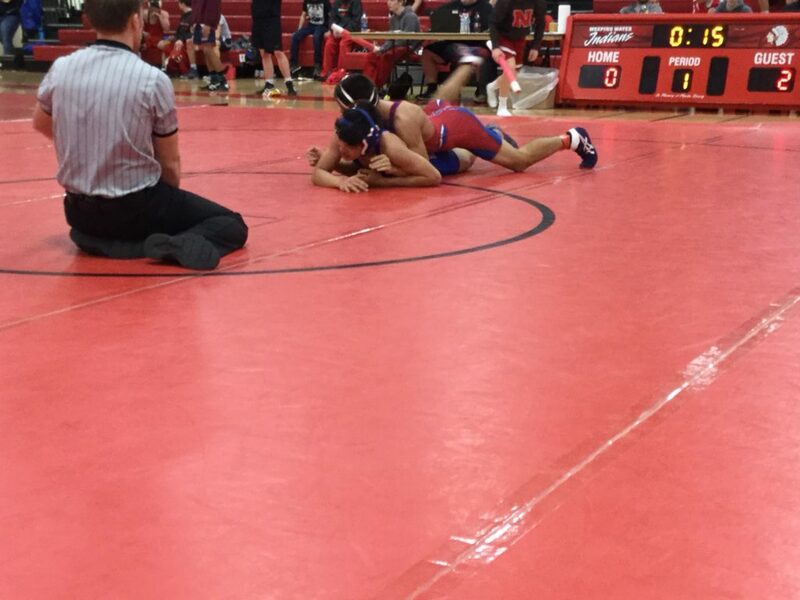 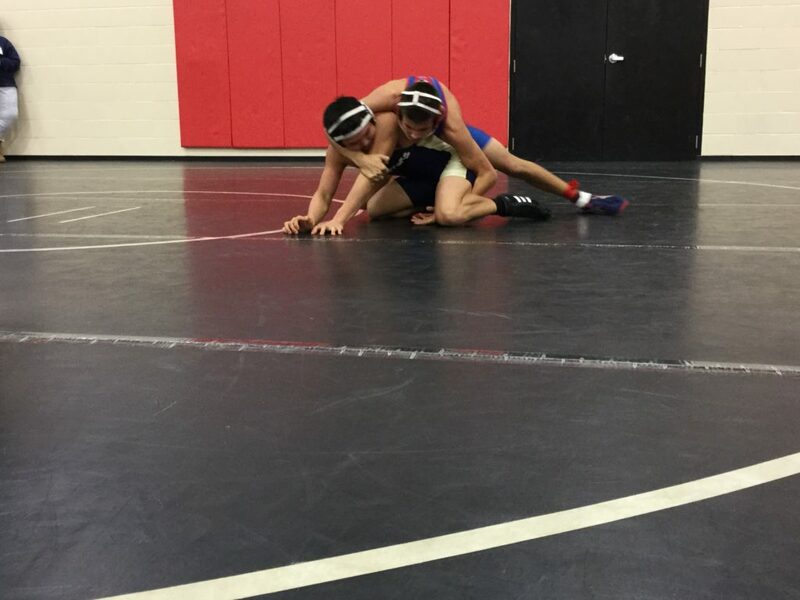 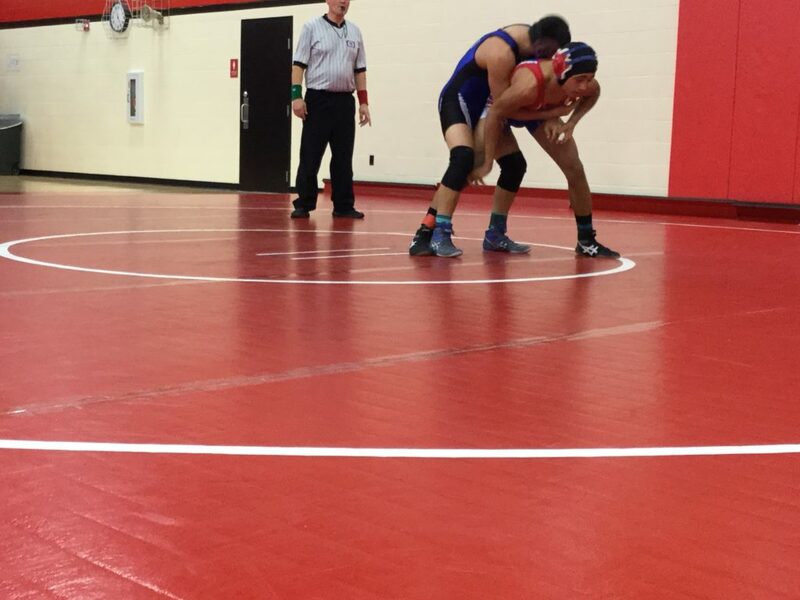 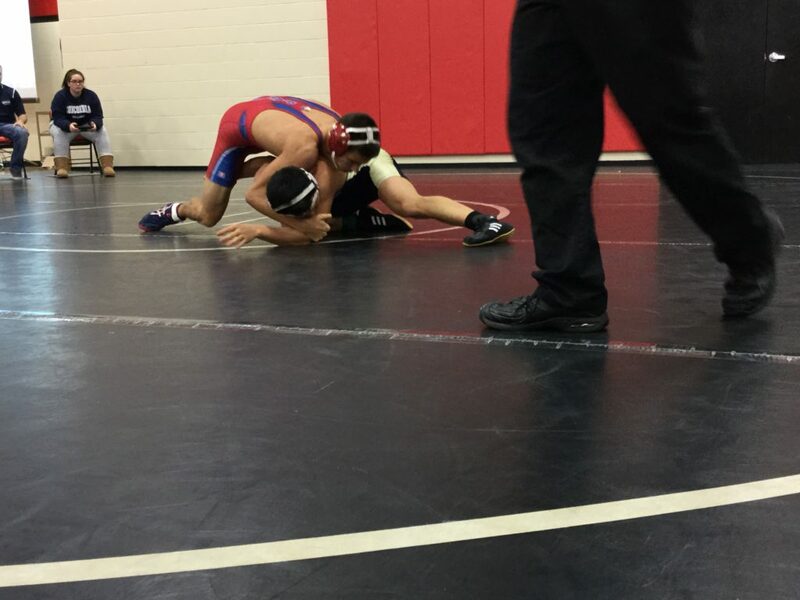 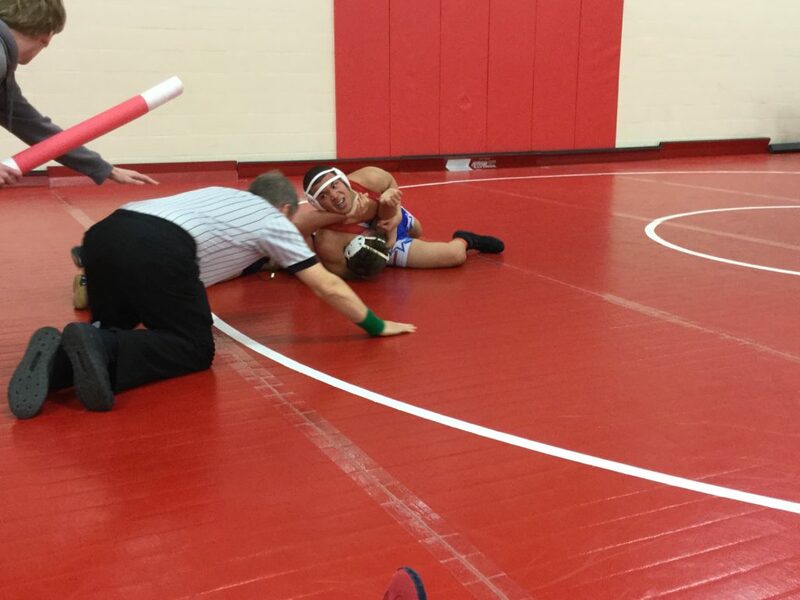 WW JV 195-220 – Krew Tran’s place is 1st and has scored 22.00 team points.